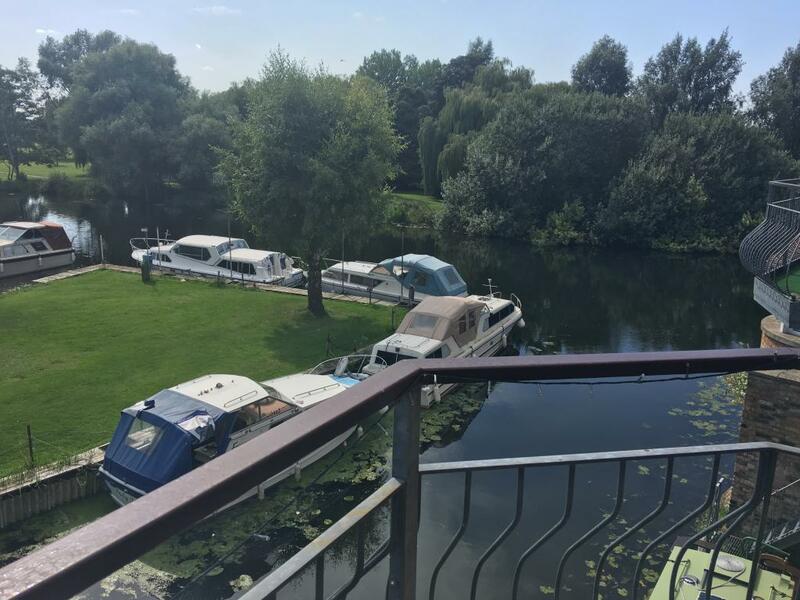 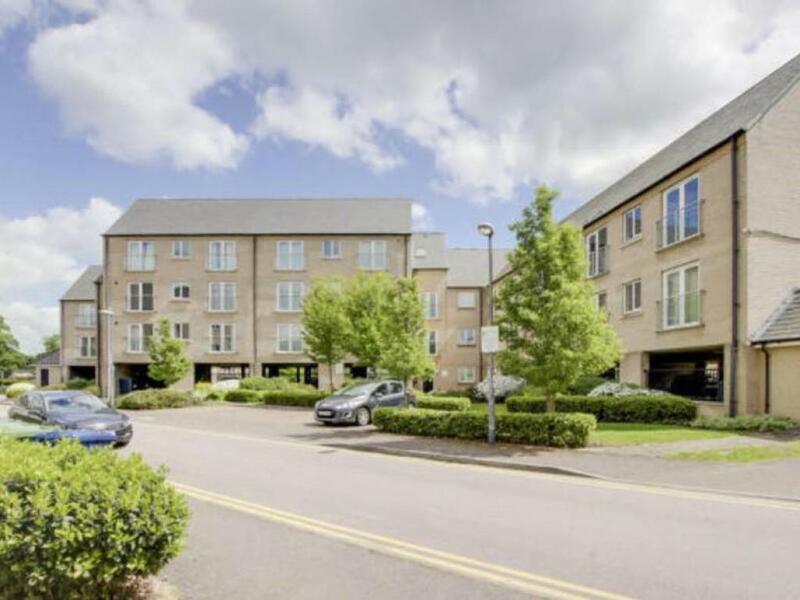 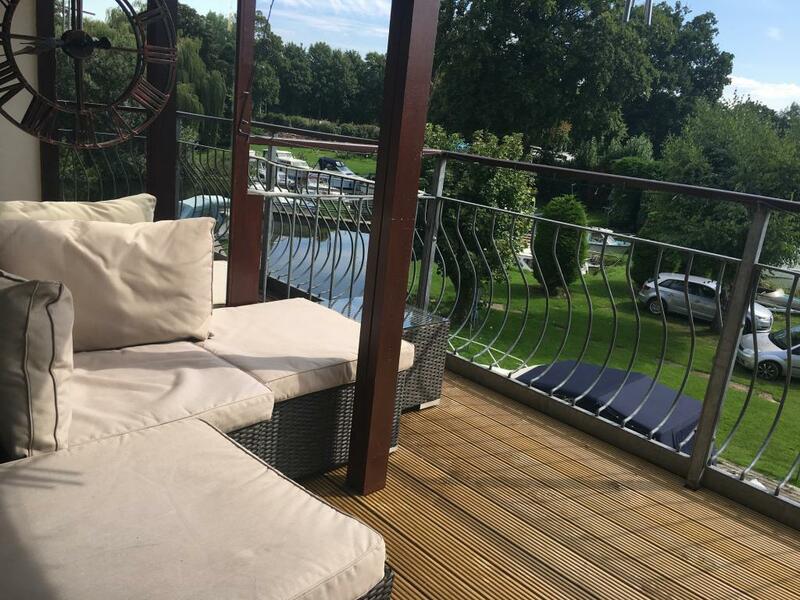 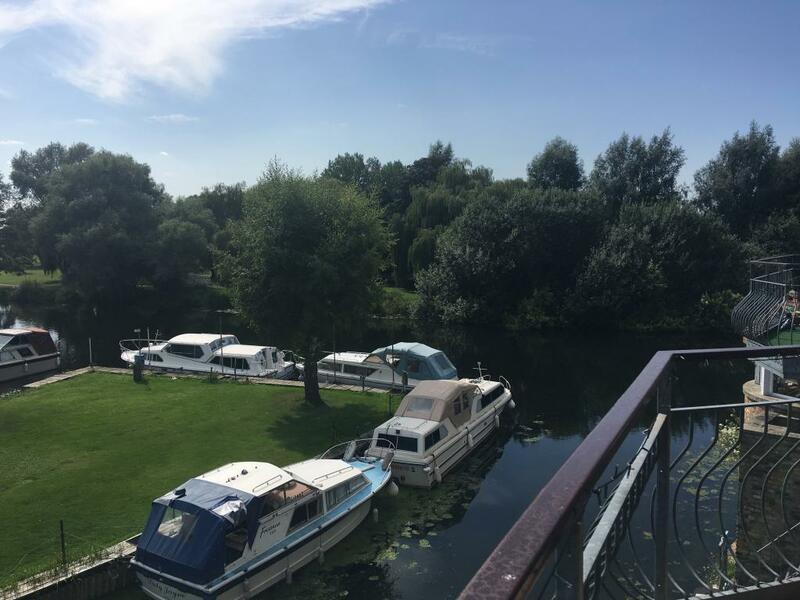 Apartment 2 Marina Heights, South Street, St Neots, PE19 2PH is a luxury two bedroom duplex apartment in the heart of St Neots overlooking the Marina. 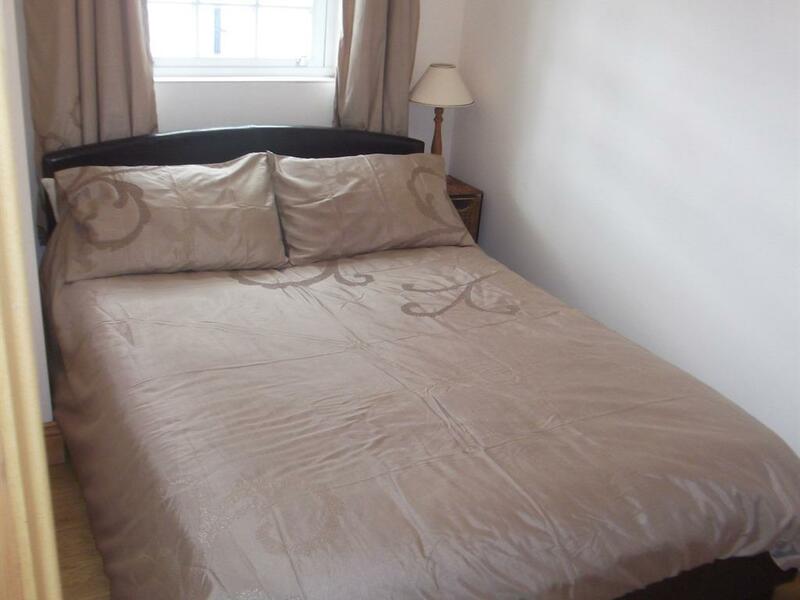 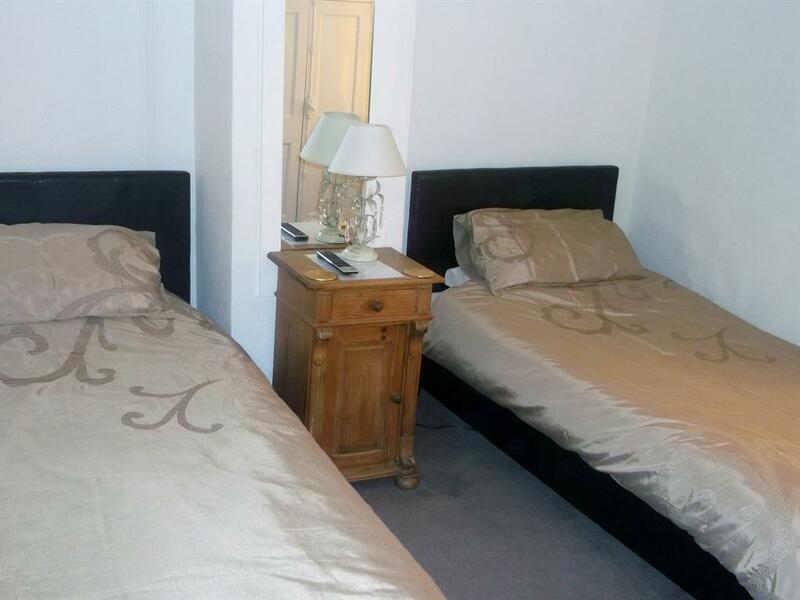 The apartment is not situated at the Whitehouse Guesthouse but is in the centre of St Neots. 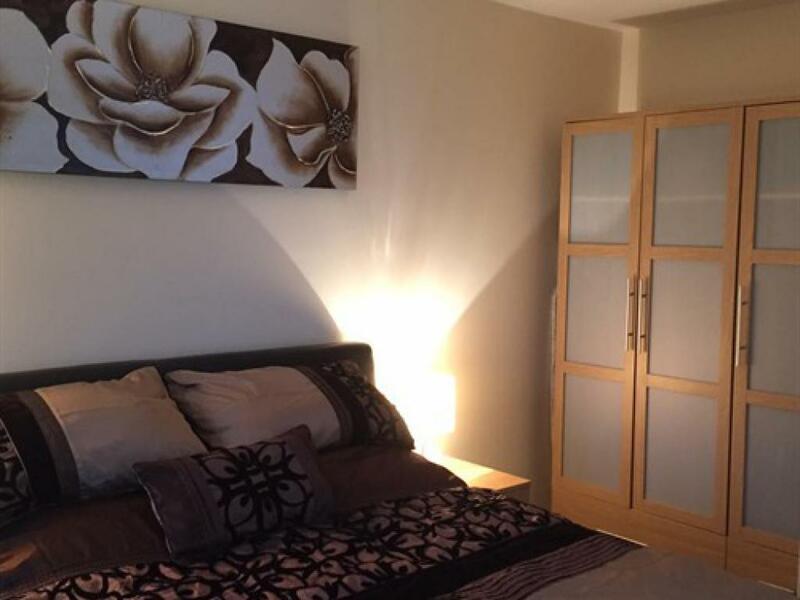 This apartment has been totally refurbished and will be ready for guests in May 2016. 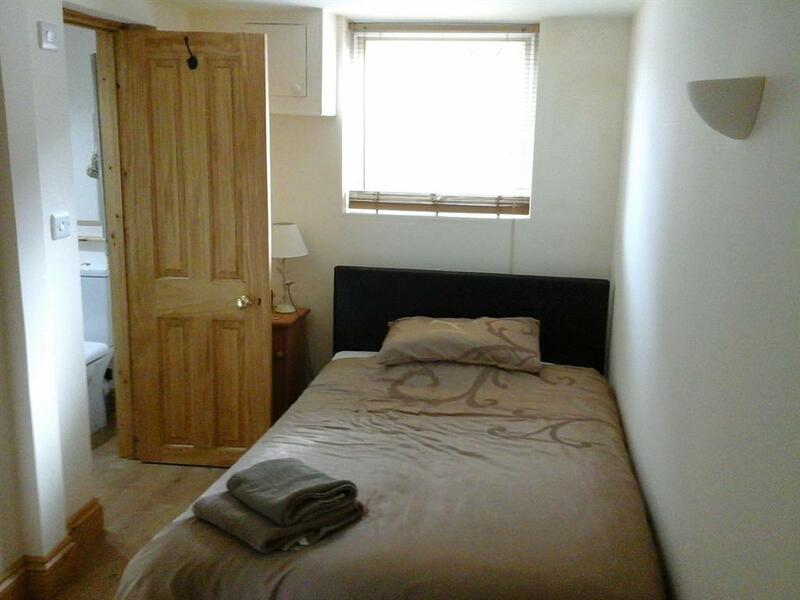 The apartment will sleep 4 people in one King sized bedded room a double bedded room. Prices are quote for maximum occupancy of 4 but discounts are available for less occupants. 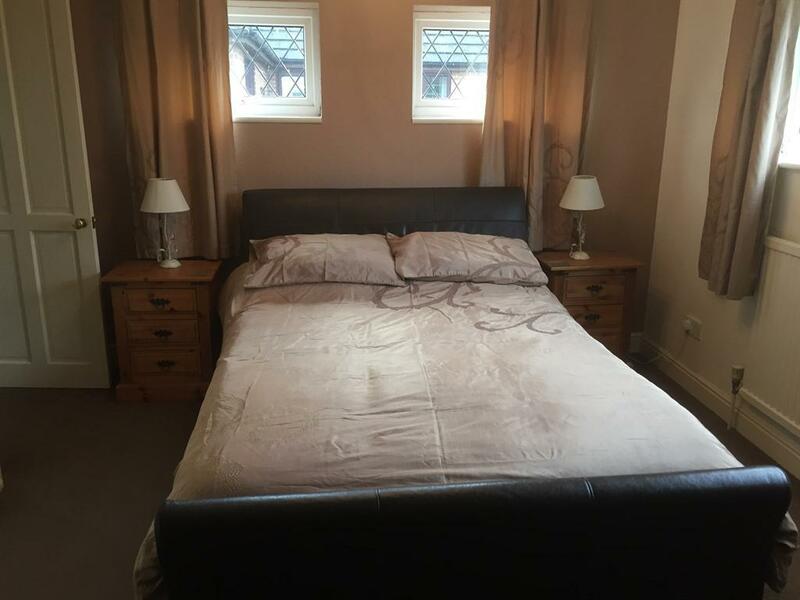 The main bedroom has a king sized leather bed with bedside cabinets. 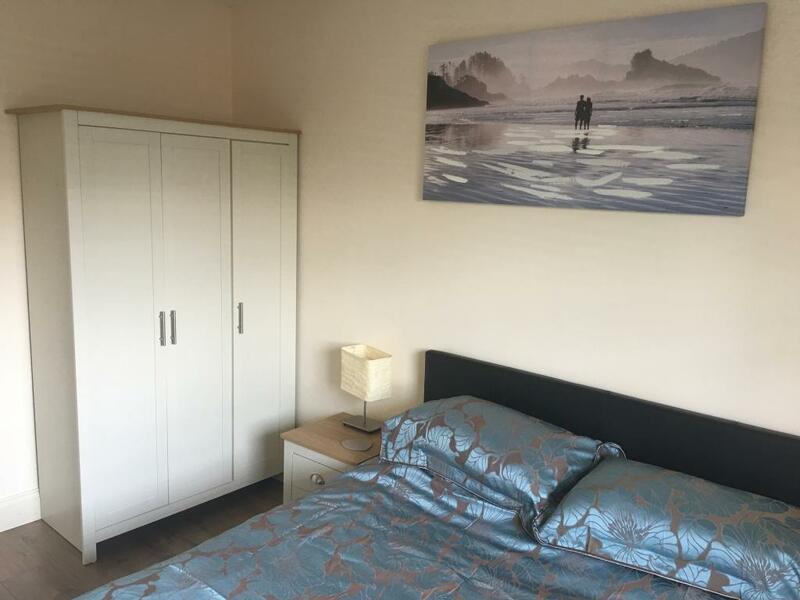 Triple wardrobe and check of draws. 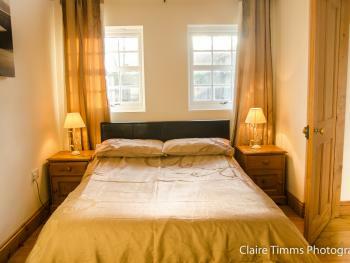 There is a Samsung LED smart TV on the wall to give this room a light and airy feel. 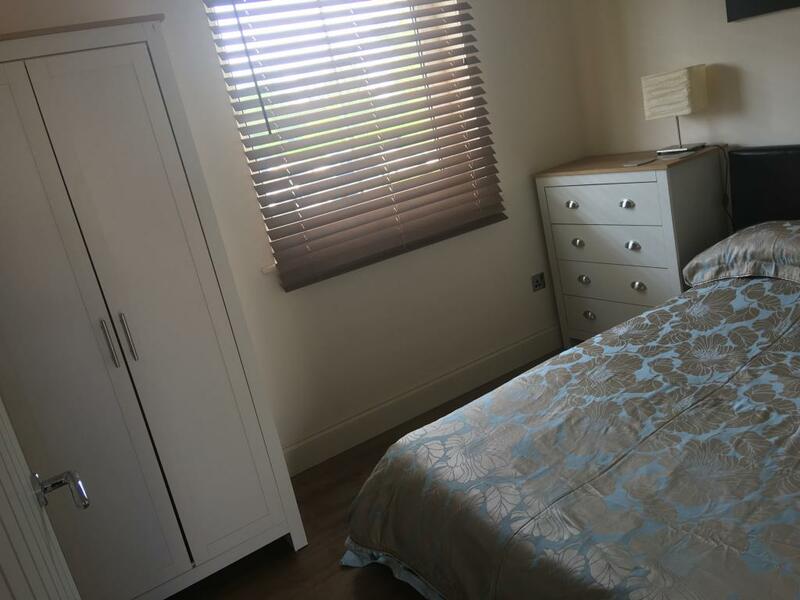 The main bedroom has the added benefit of having a balcony with views over the Marina and St Mary Church. 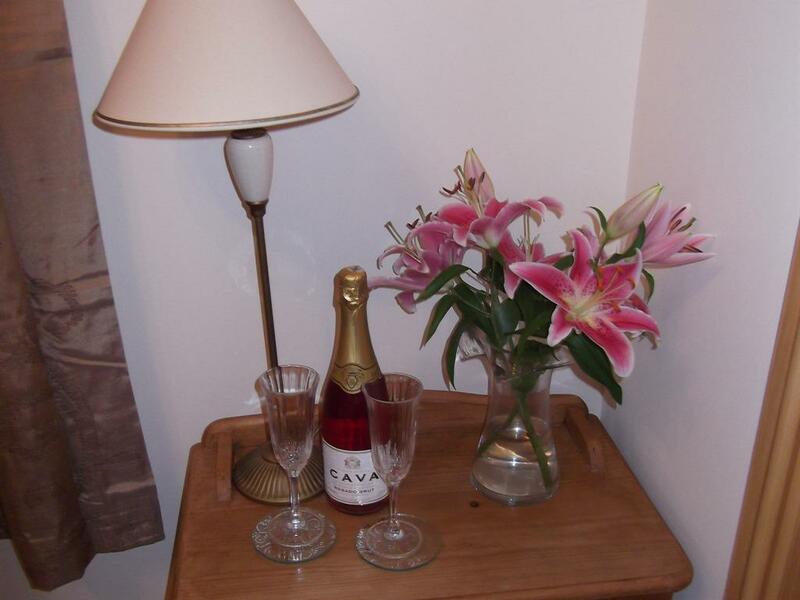 This is a ideal way to unwind and relax with a glass of wine or feeding the ducks or fish. The second bedroom has a double leather bed with bedside cabinet and check of draws. 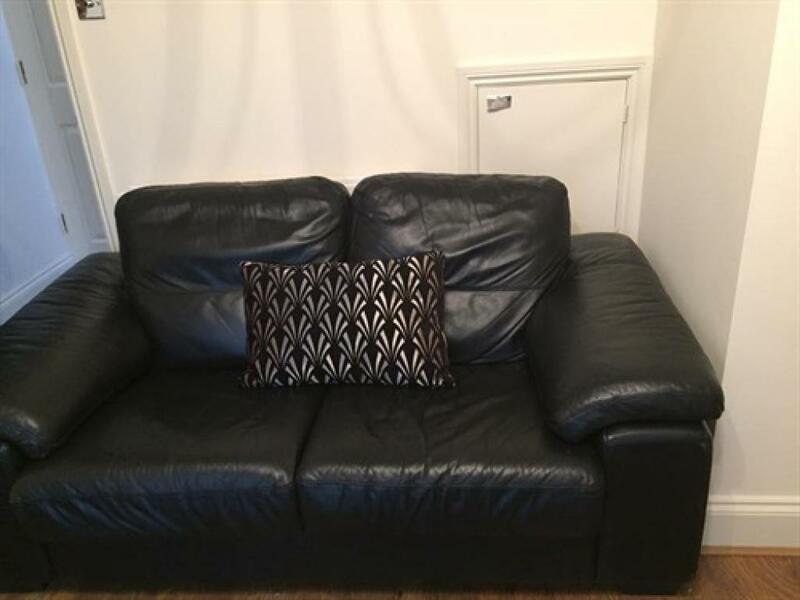 There is a Samsung LED Smart TV on the wall for added space The lounge has two leather sofa's with one turning into a sofa bed. 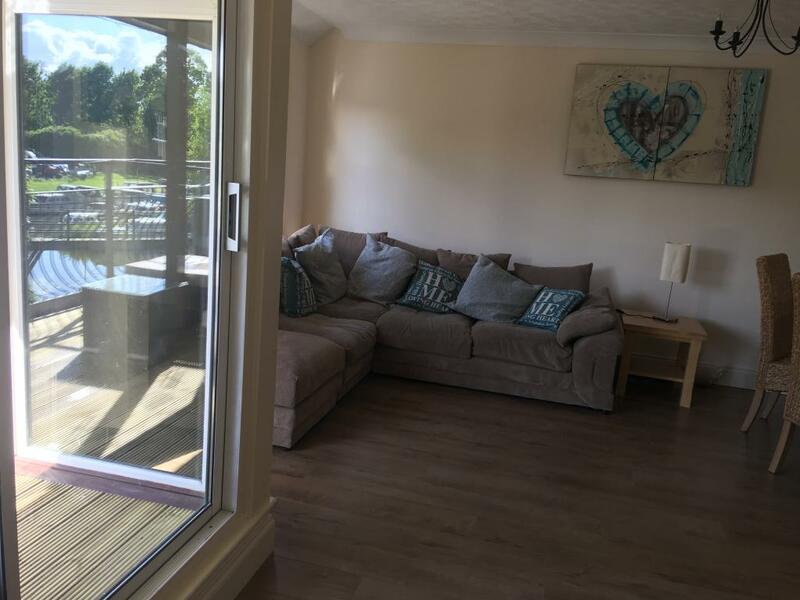 Large patio doors with a Juliet balcony and overlooking the river gives this room a light and airy feel. 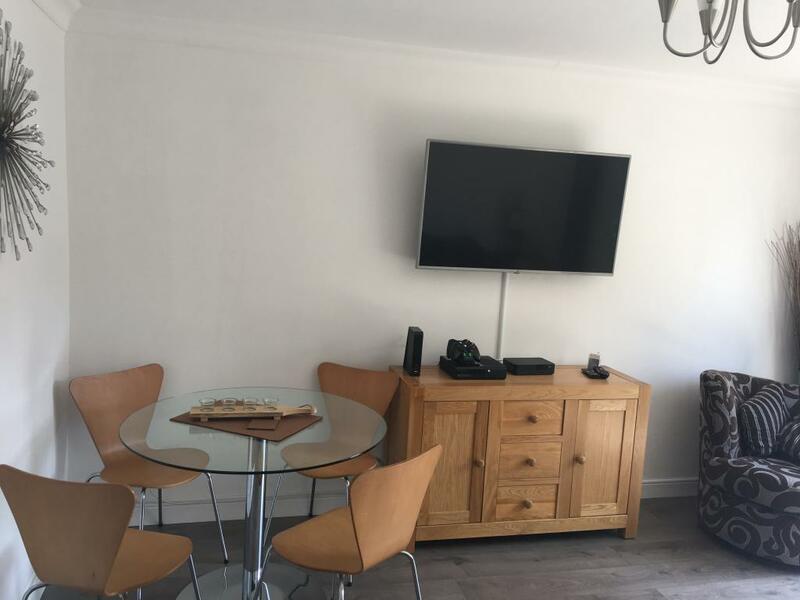 There is also a dining table and 4 leather chairs and a an LED smart TV on the wall. 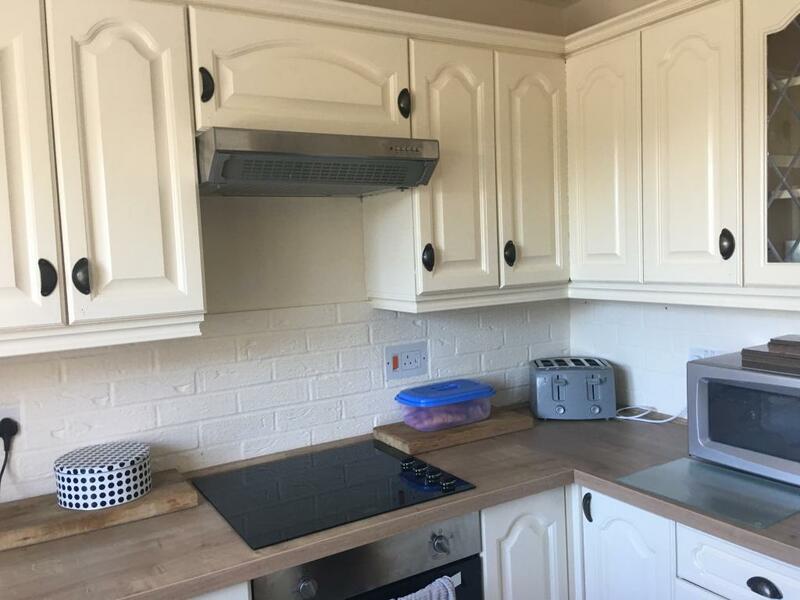 The Kitchen is newly fitted with a washer dryer and a fridge freezer Electric oven and gas hob and a gorgeous view of St.Mary's church. 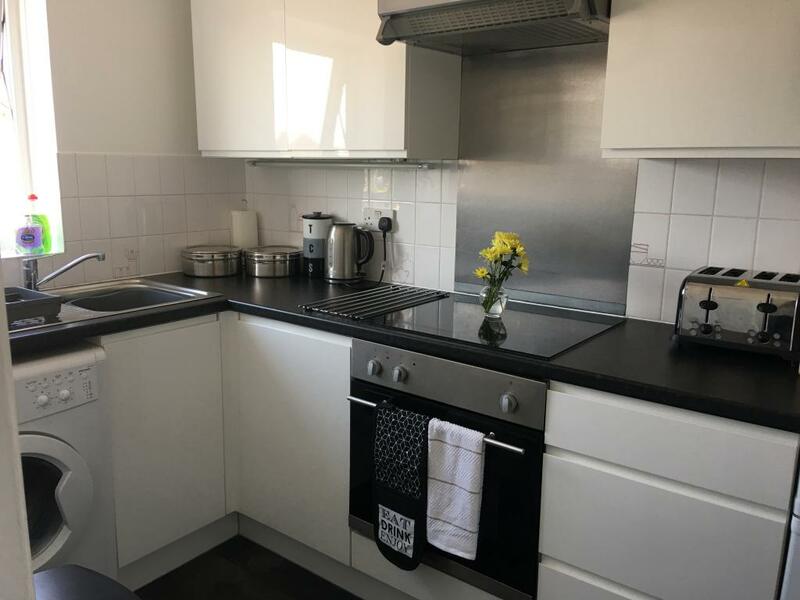 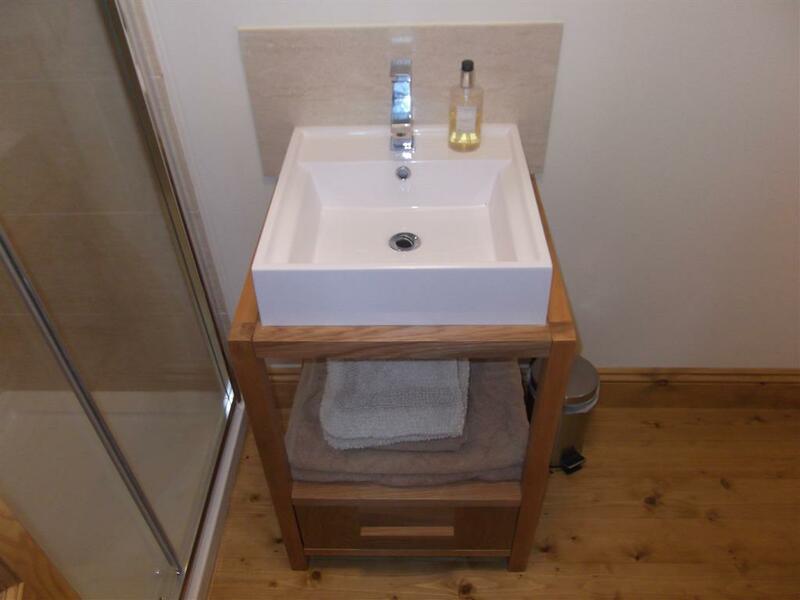 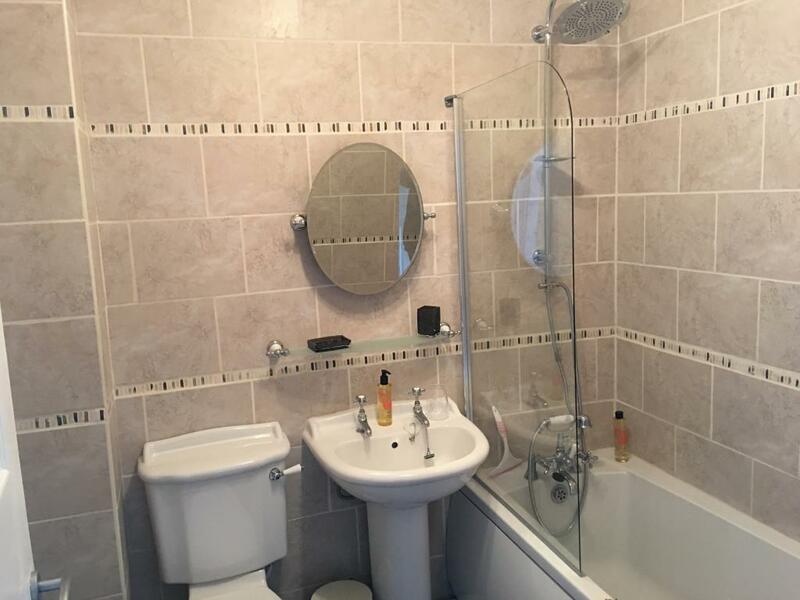 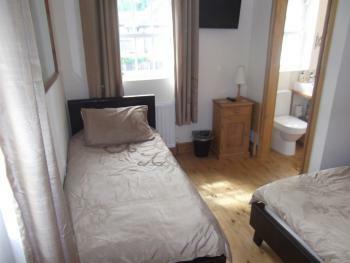 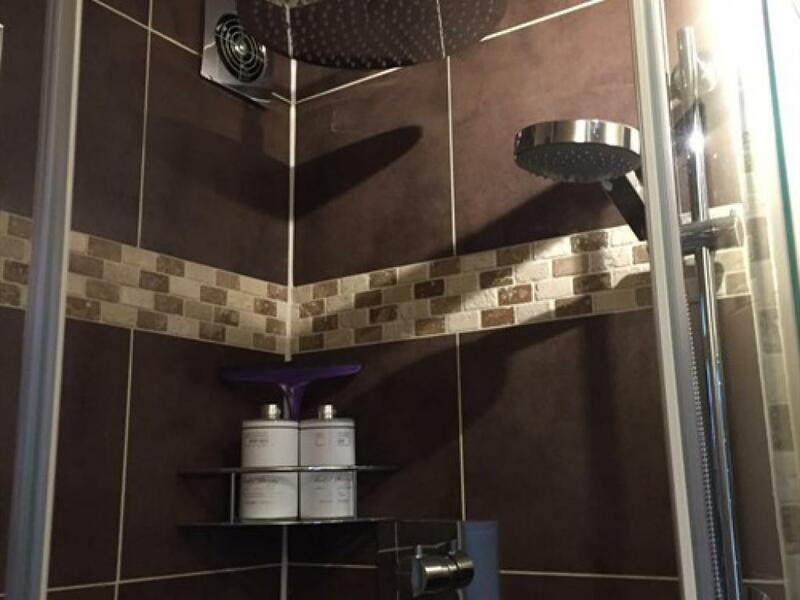 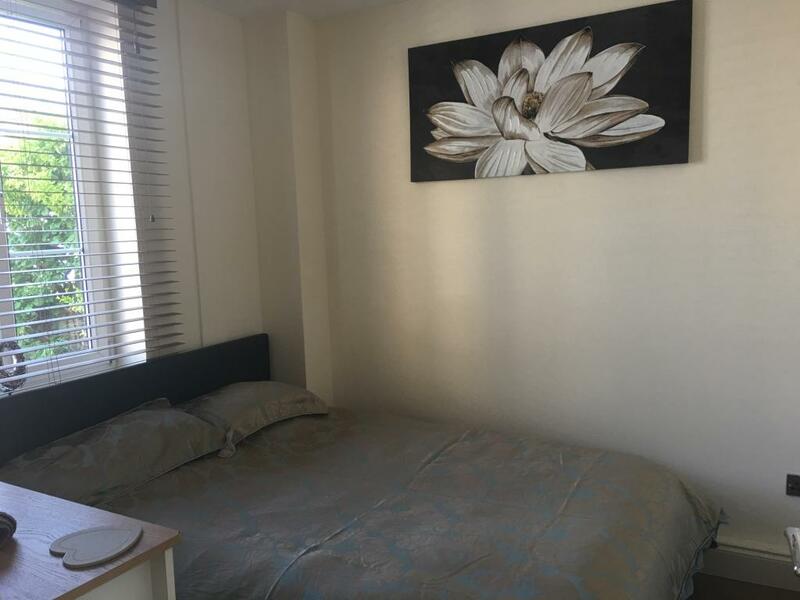 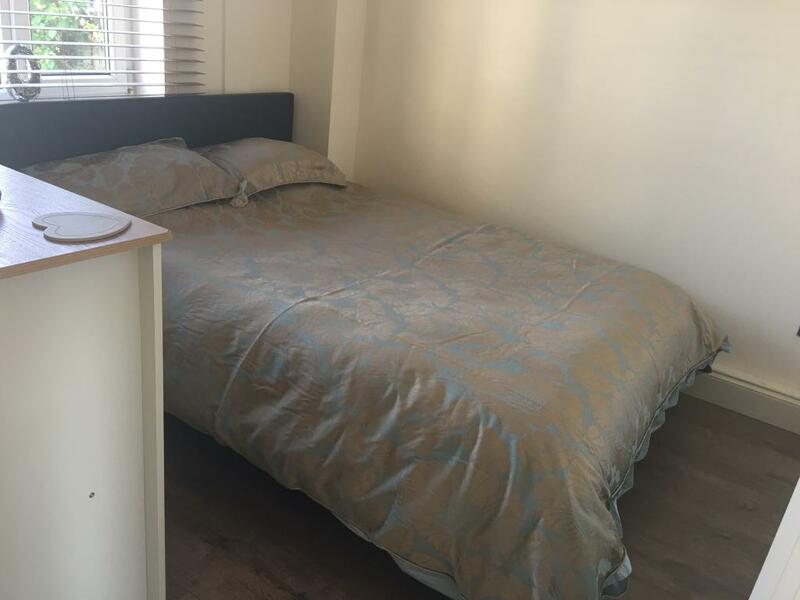 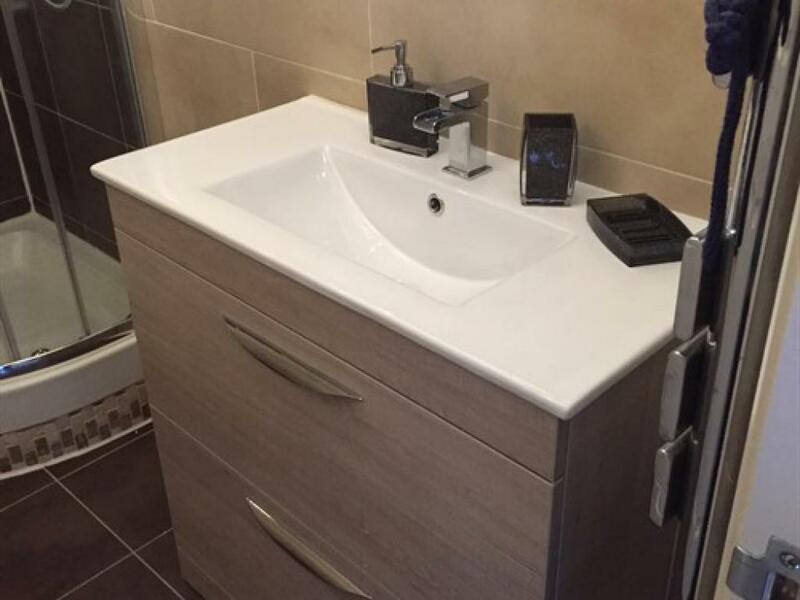 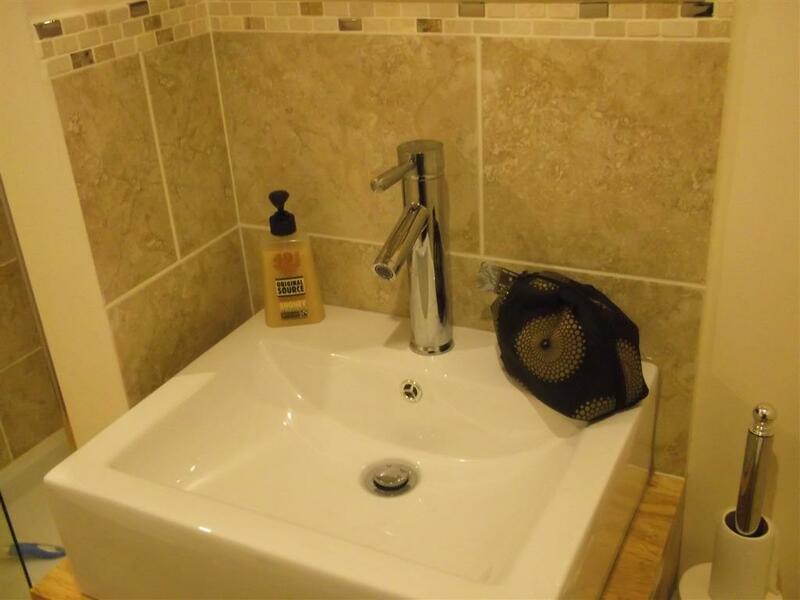 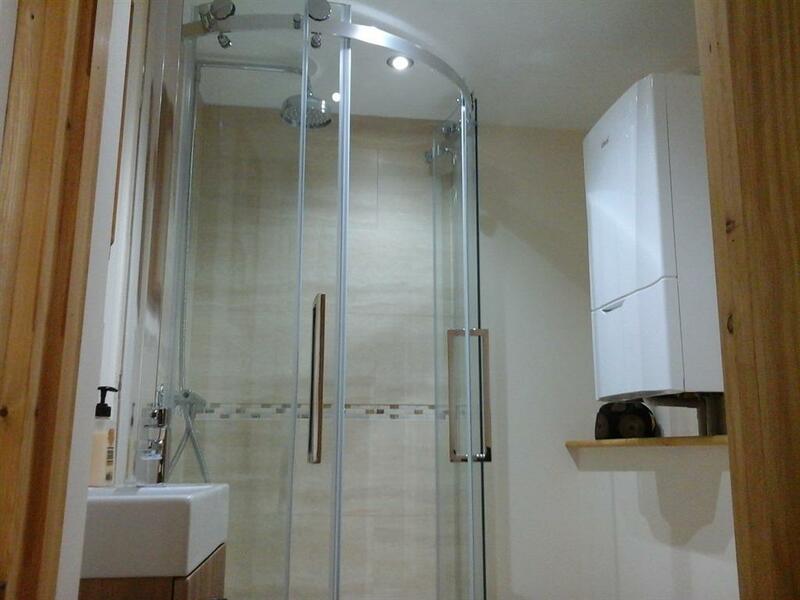 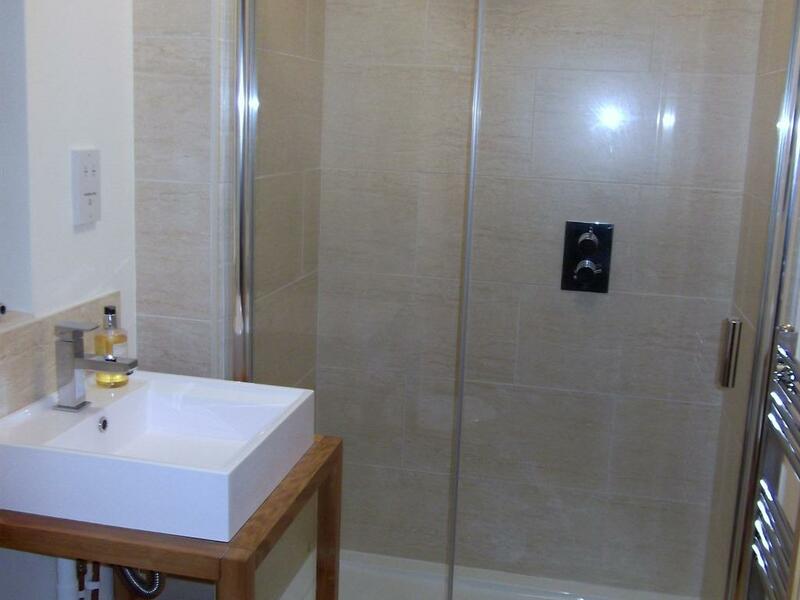 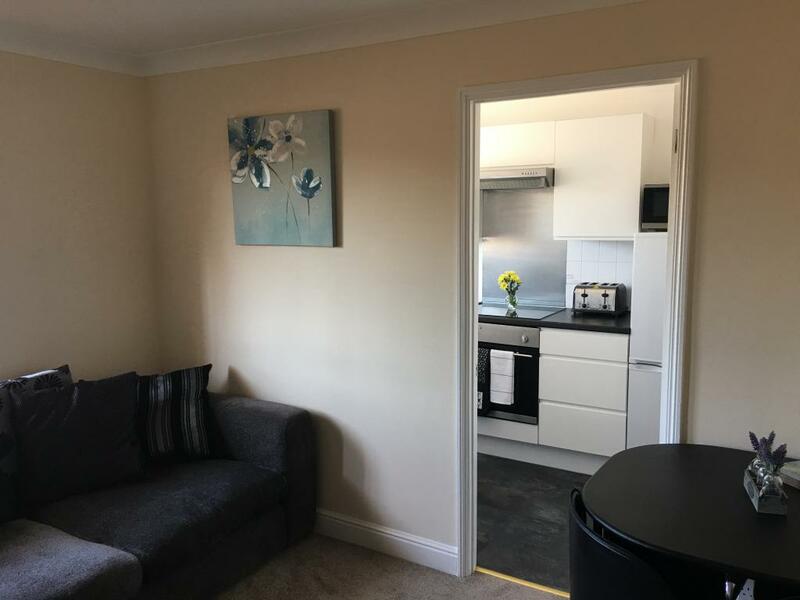 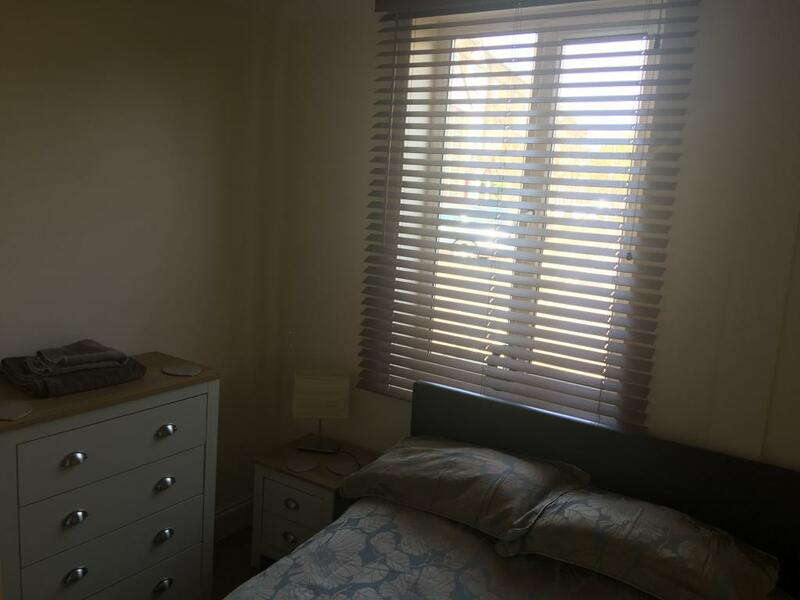 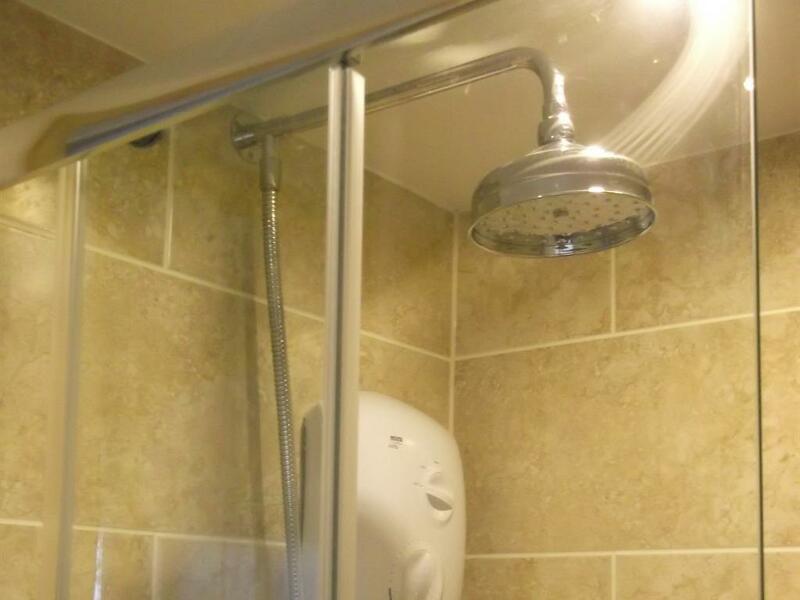 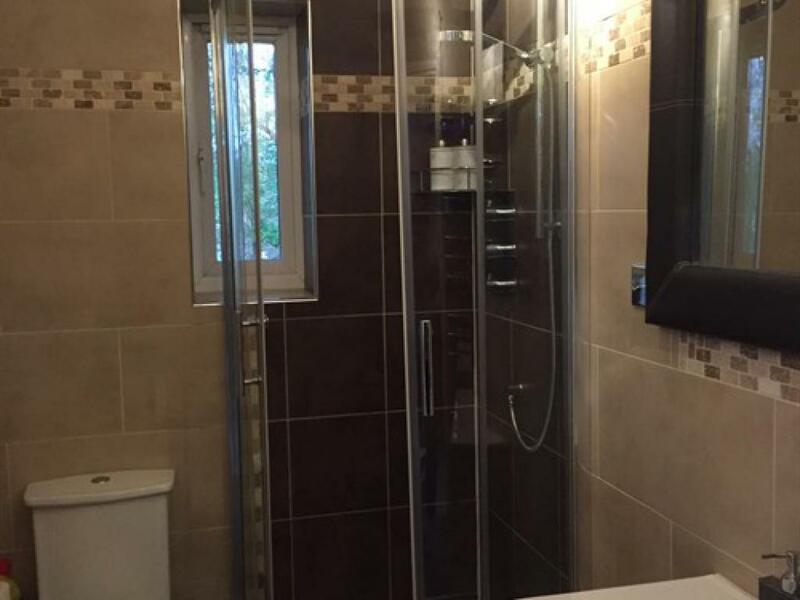 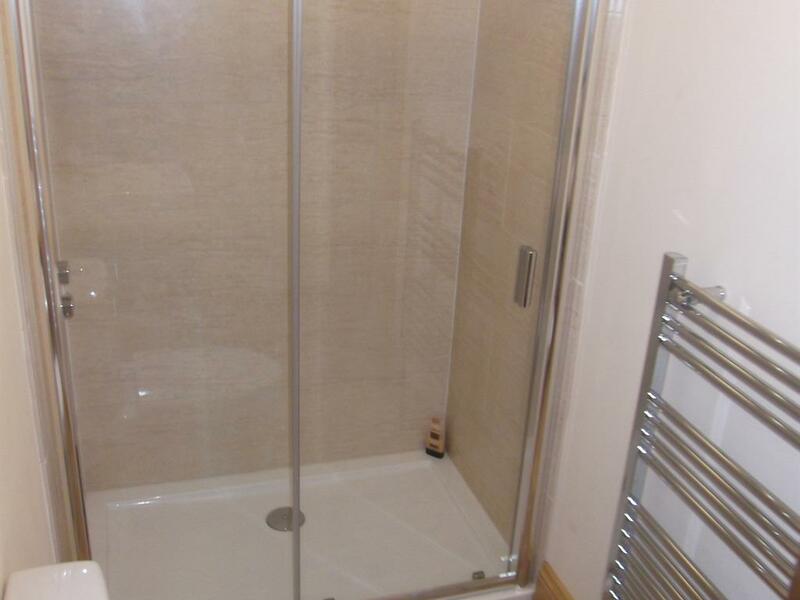 Shower room is upstairs with a toilet, corner shower and a vanity unit with \basin and there is a heated towel rail on the wall The apartment comes with one allocated car parking space which is next to the building. 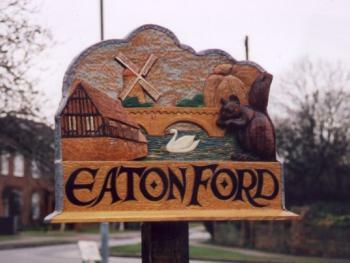 Parking permits will be given to you on your arrival. 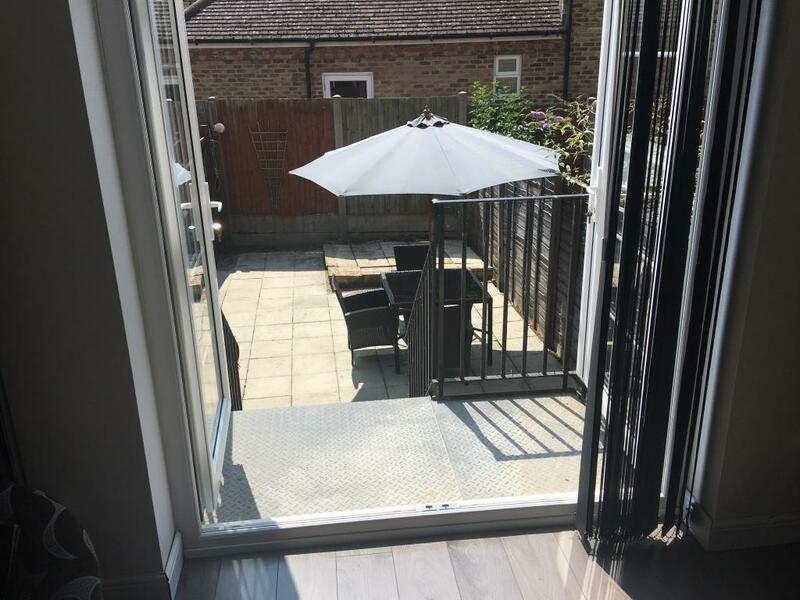 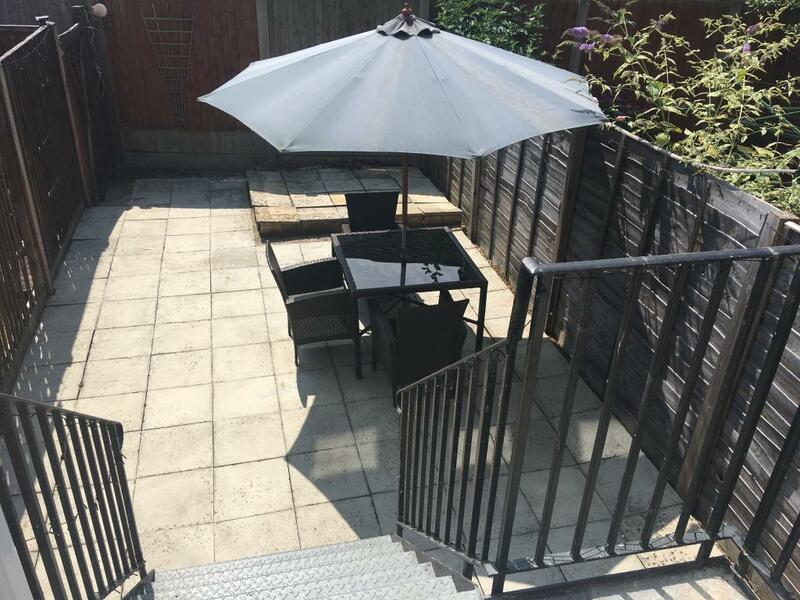 38 River Terrace, St Neots, Cambs, PE19 2BG is a three bedroom mews house in the heart of St Neots overlooking the Marina and River Great Ouse, River Terrace is not situated at the Whitehouse Guesthouse but is in the center of St Neots. 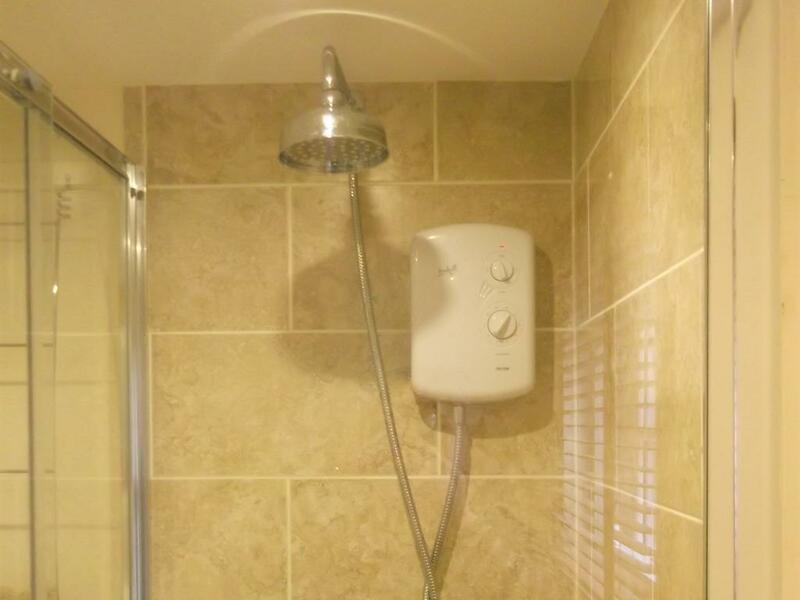 This is the newest addition to the Whitehouse Guesthouse and Whitehouse Lettings. River Terrace will sleep 6 people in king sized room a and two double bedded rooms. 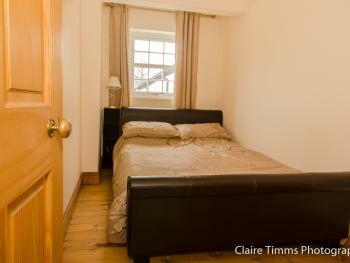 Prices are quote for maximum occupancy of 6 but discounts are available for less occupants. 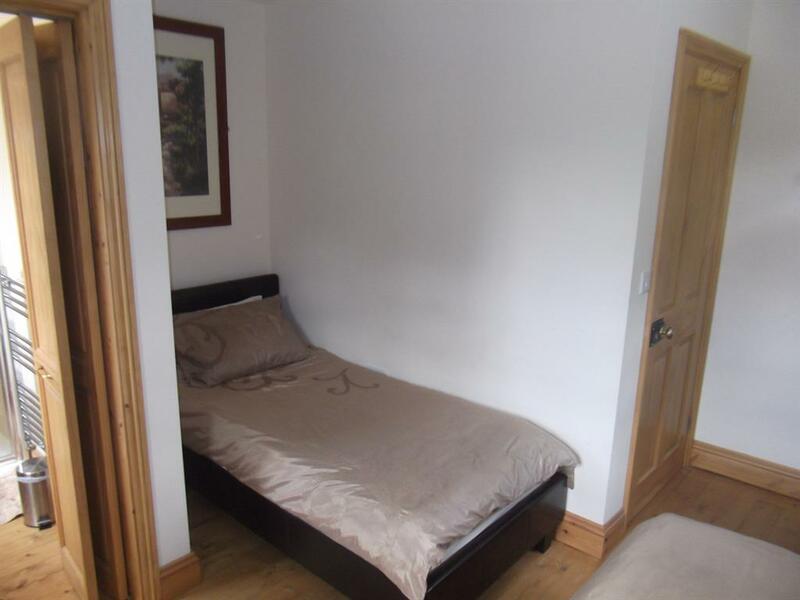 The bedrooms are on the ground floor with the living room and kitchen on the upper floor. The main bedroom has a king sized leather bed with bedside cabinets, and wardrobe. This room also has the additional benefits of views over the Marina and River Ouse. 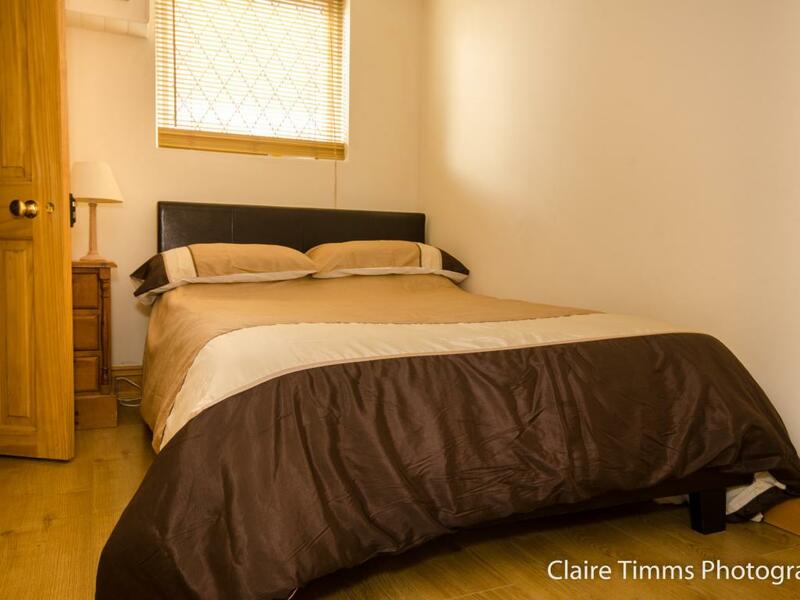 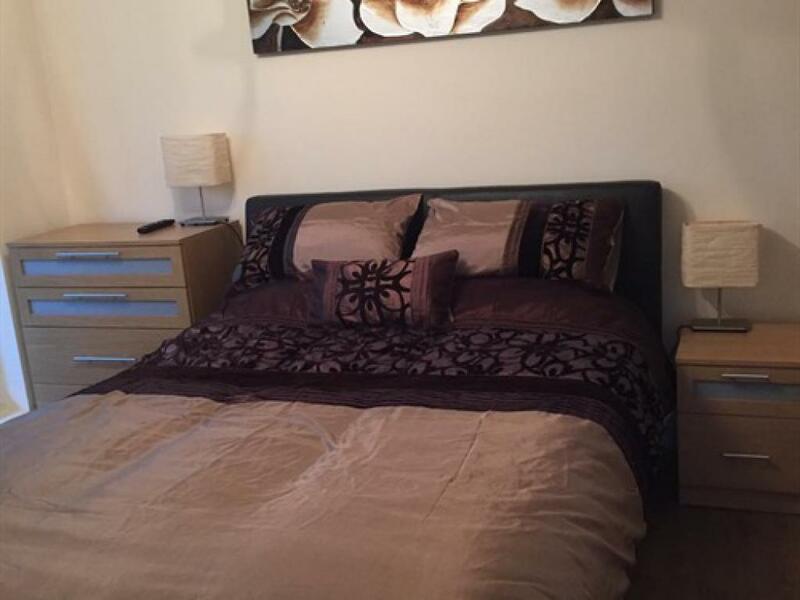 Bedroom 2 is a double bedded room with a double leather bed with bedside cabinets. 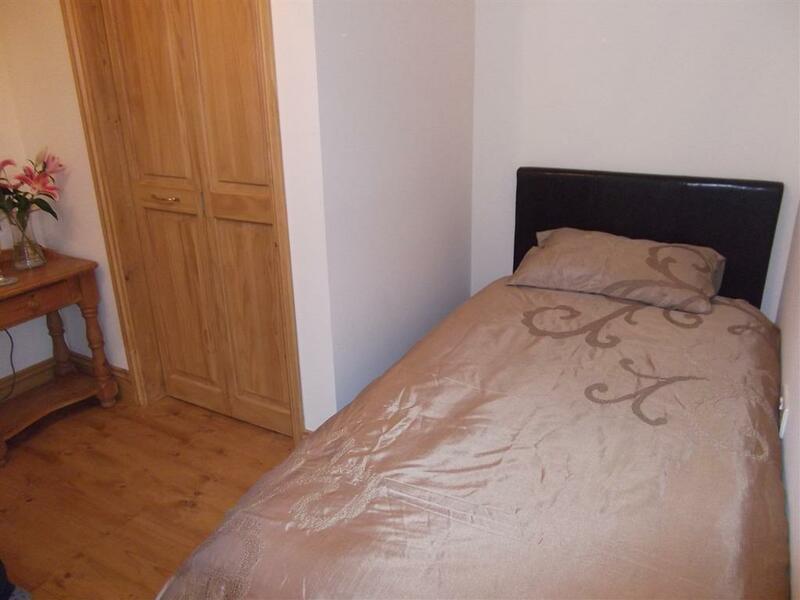 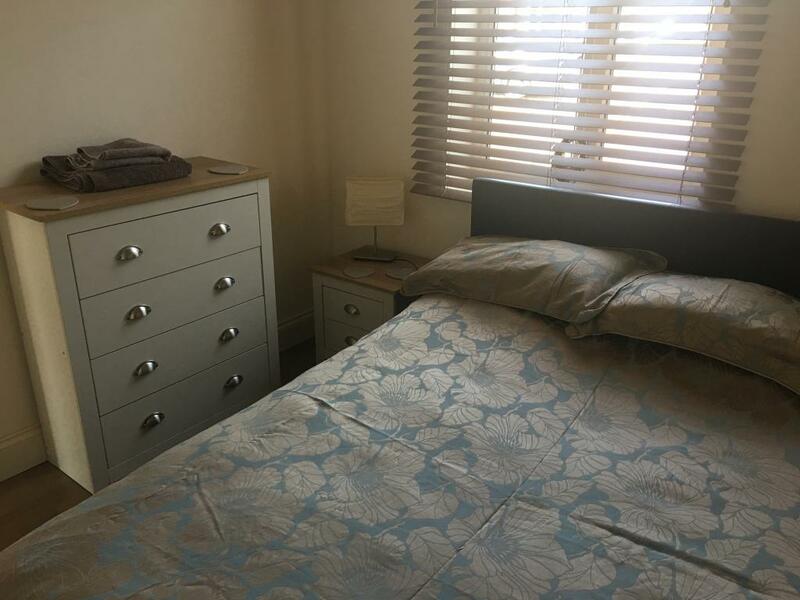 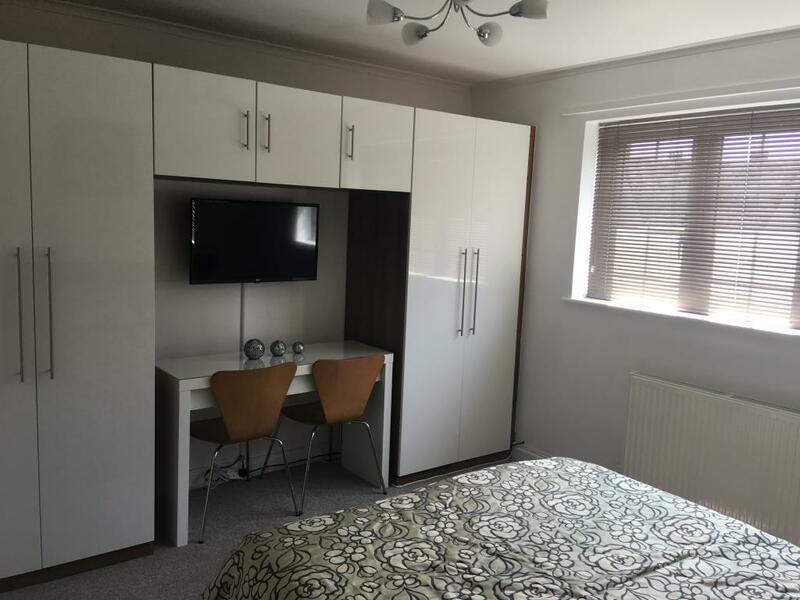 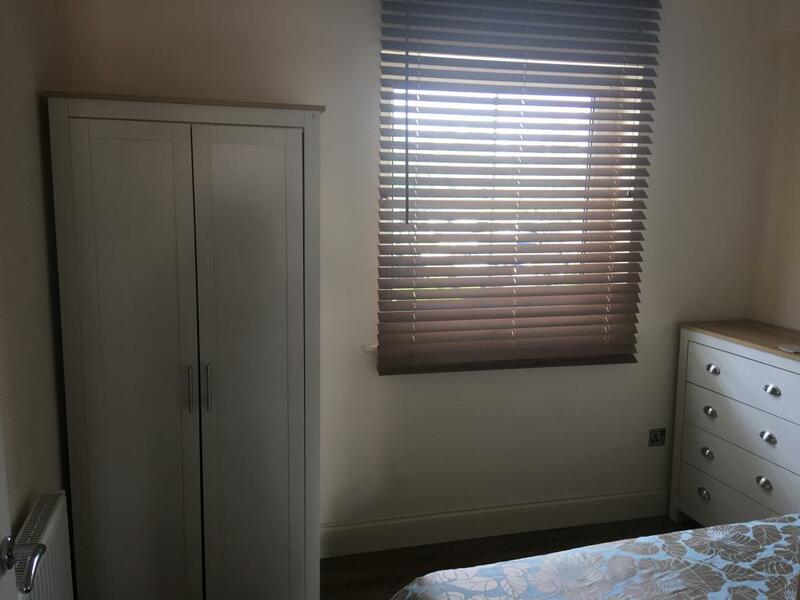 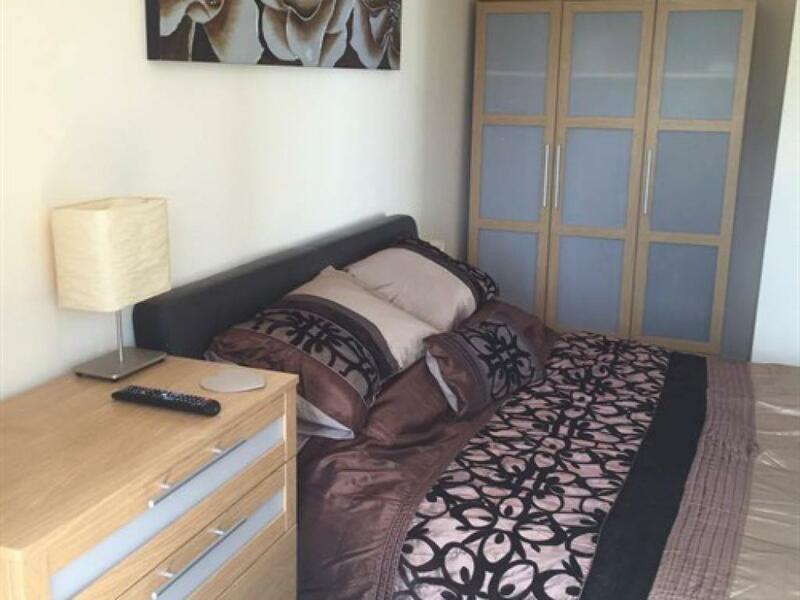 Bedroom 3 is a double bedded room with bedside cabinet and wardrobe. 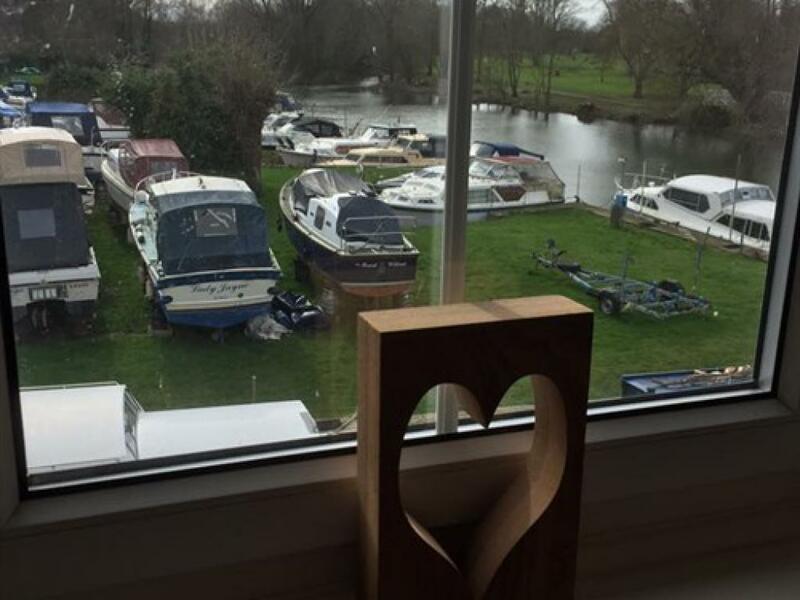 This bedroom also has the added benifits of having views over the Marina and River Ouse. 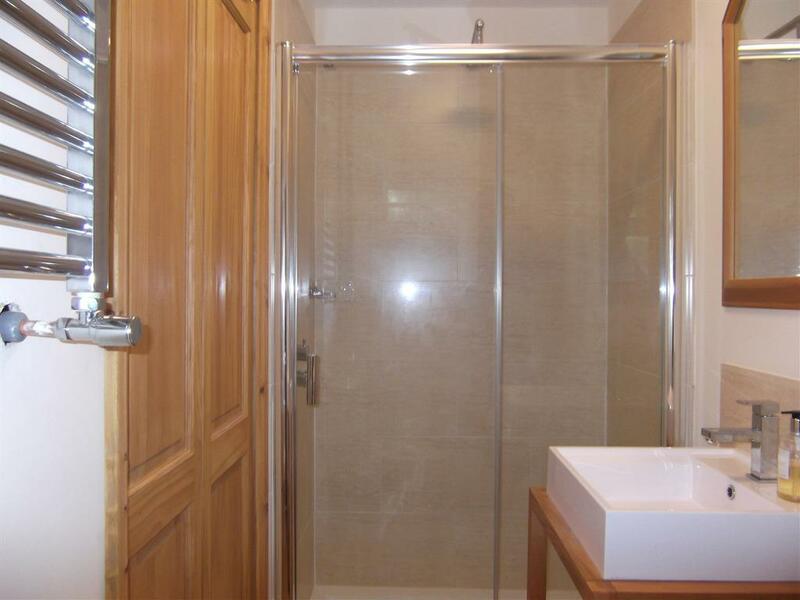 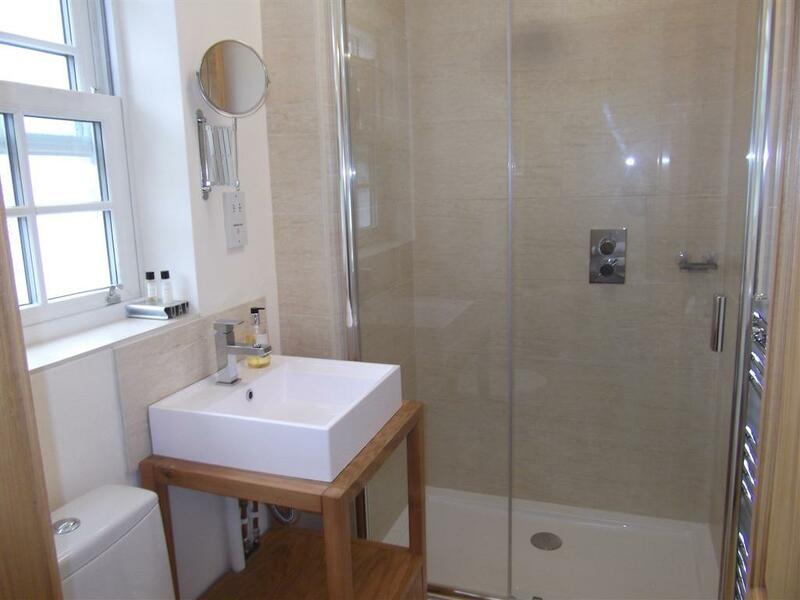 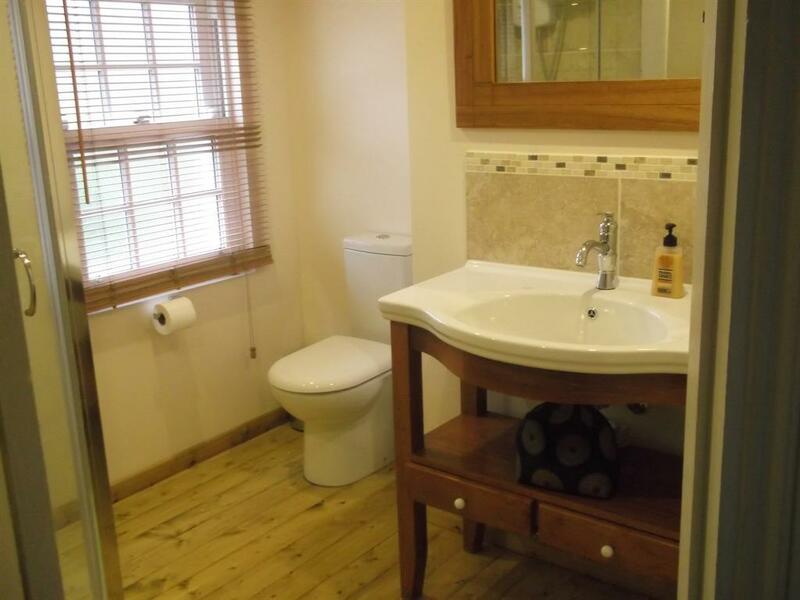 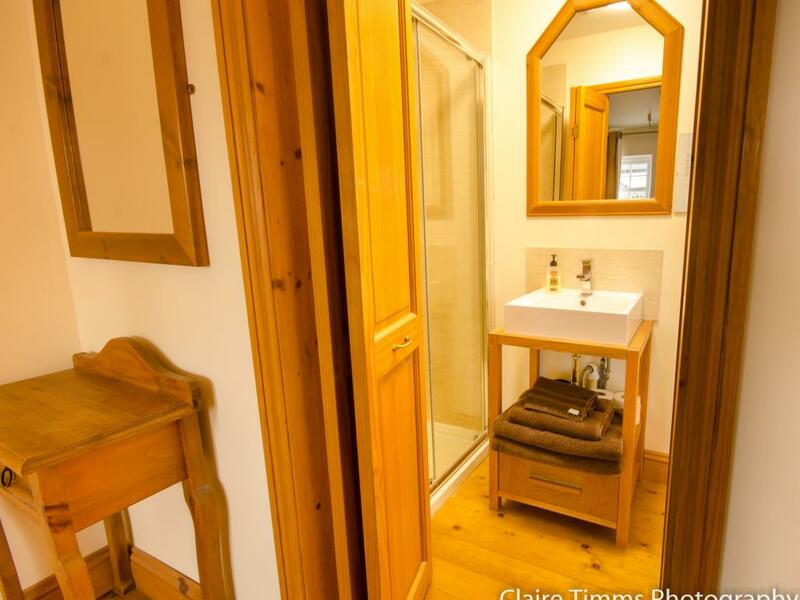 The bathroom is also on the ground floor with large shower, toilet and hand basin. 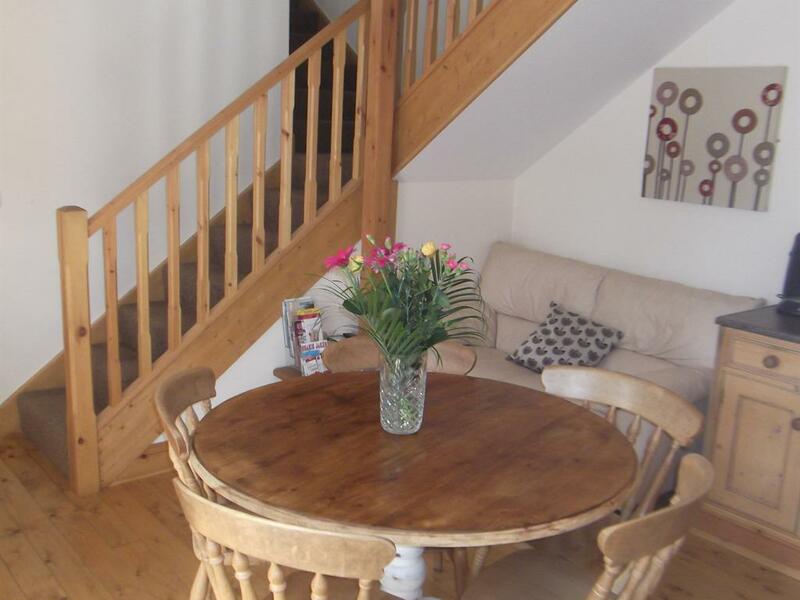 The lounge, dinning and kitchen are located on the upper floor. 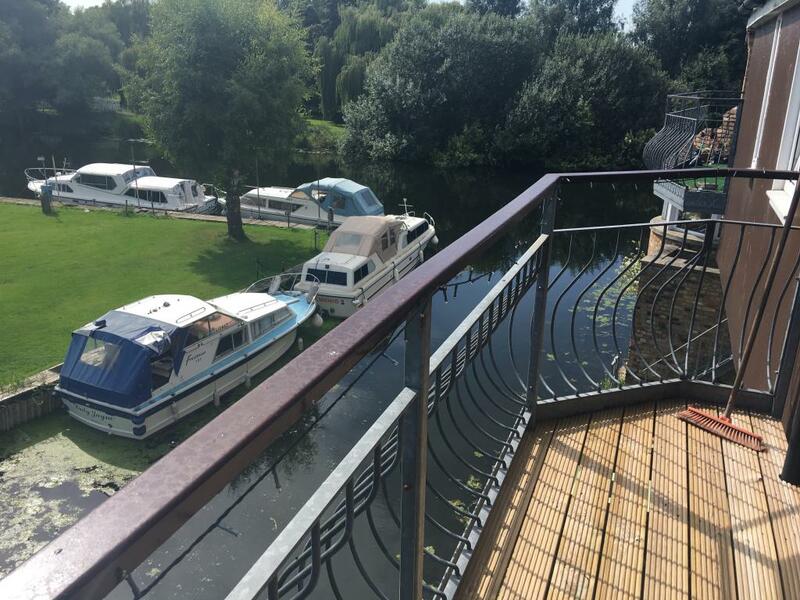 The lounge has the additional benefit of overlooking the Marina and the River Ouse. 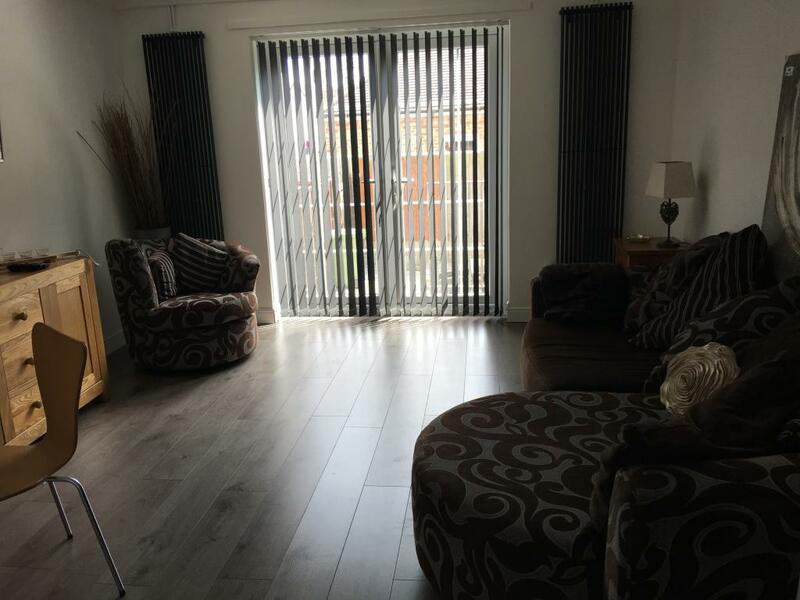 With patio doors leading out to a large balcony with outside seating. 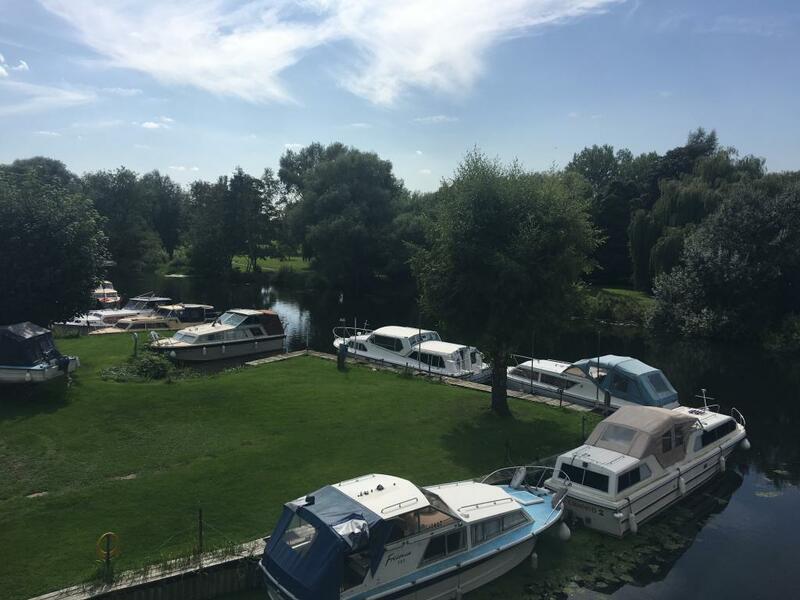 Why not relax and unwind with a glass of wine or feeding the ducks or fish and enjoying the sunshine. 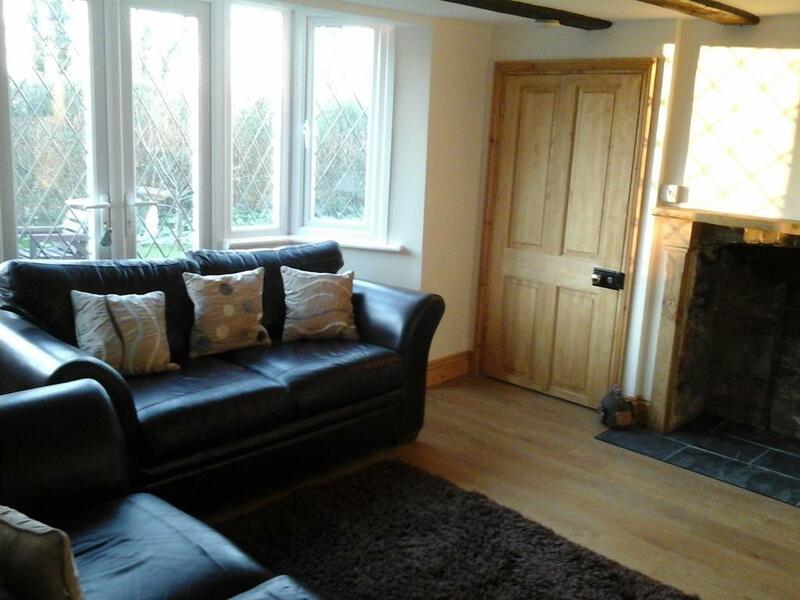 The lounge has a large corner sofa with oak and glass table and chairs. 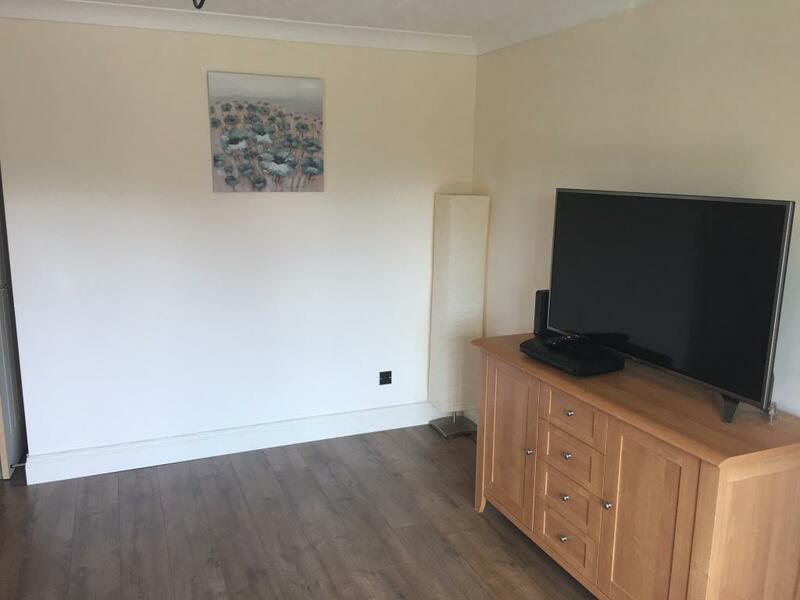 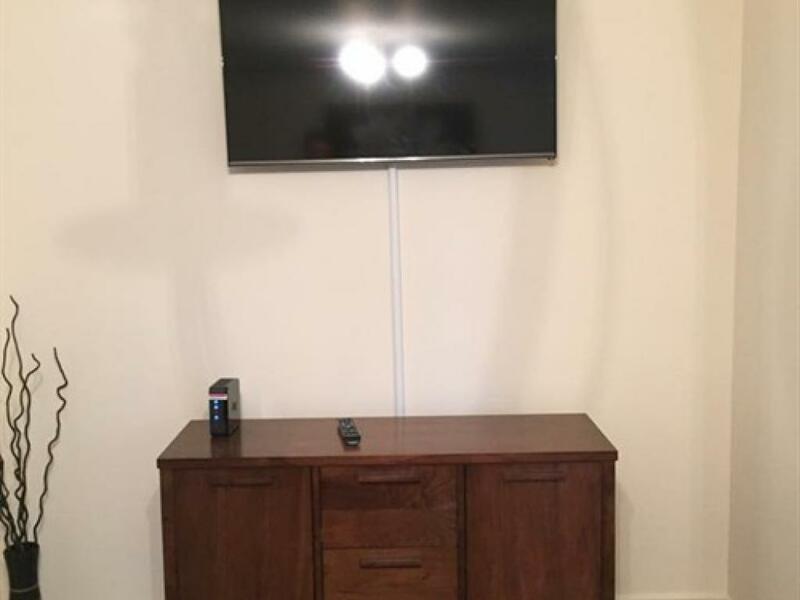 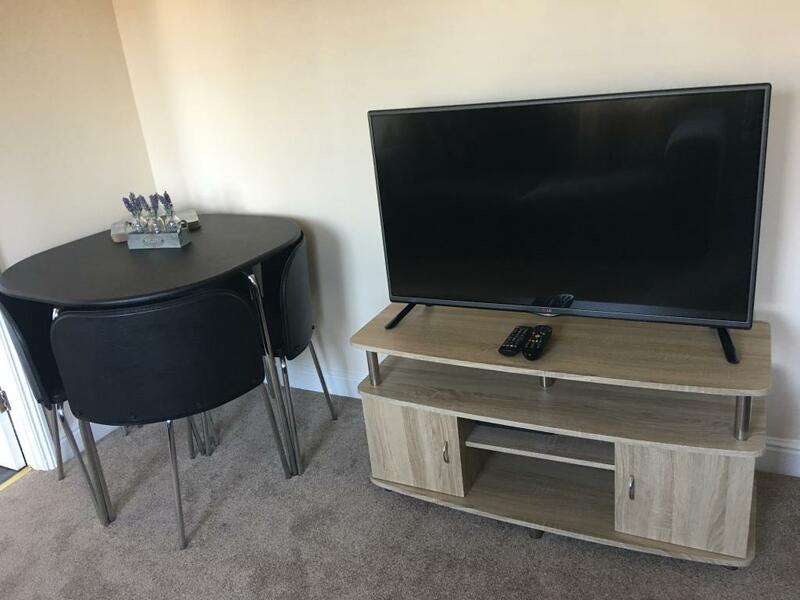 The is a LED smart TV on the wall with Virgin Media connection. 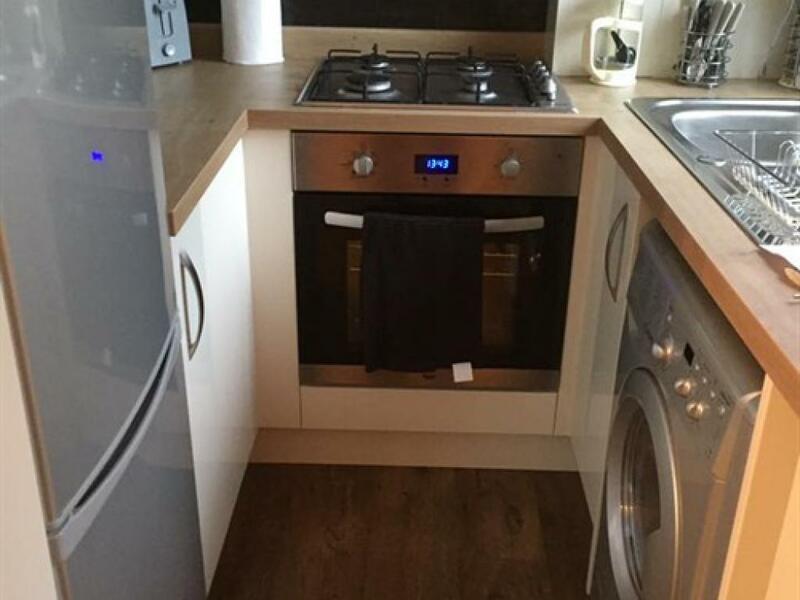 The kitchen is also on this floor with Electric oven and Hob. 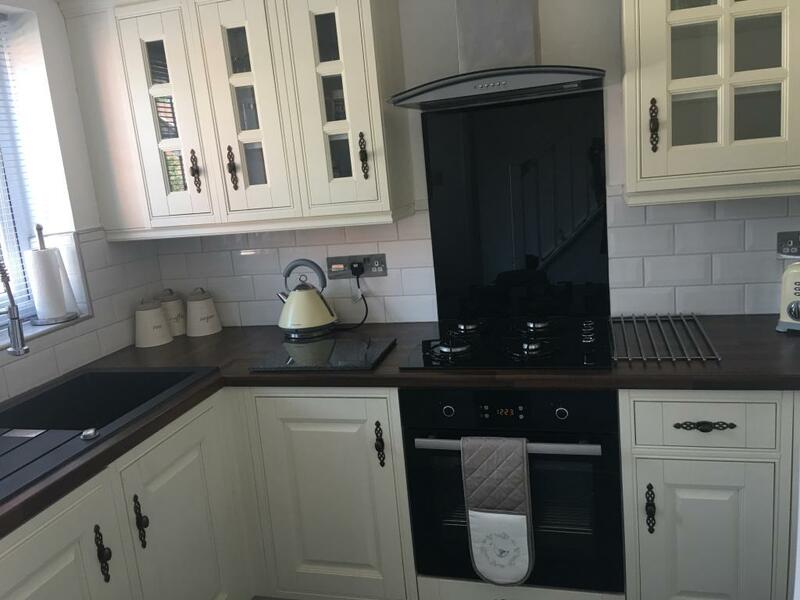 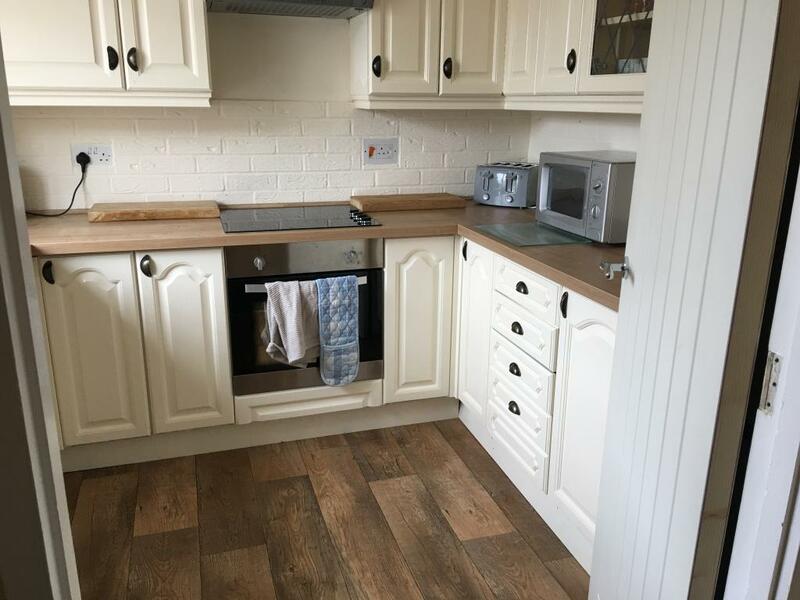 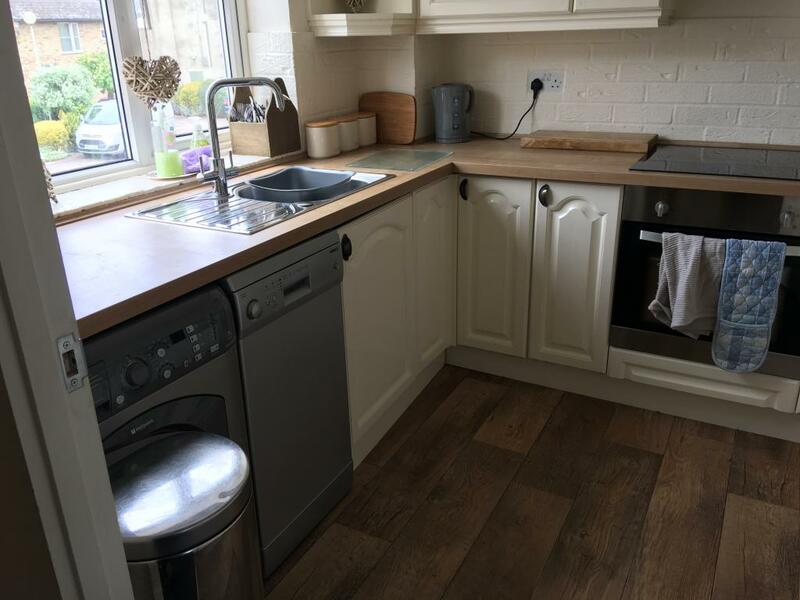 There is also a washer/dryer, microwave, dishwasher, fridge freezer, kettle and toaster. 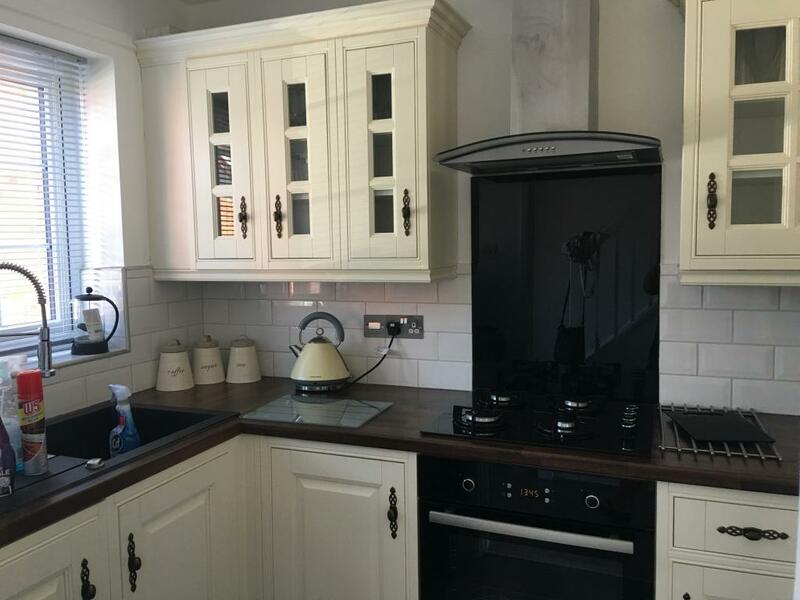 There is ample kitchen cupboards and work space. 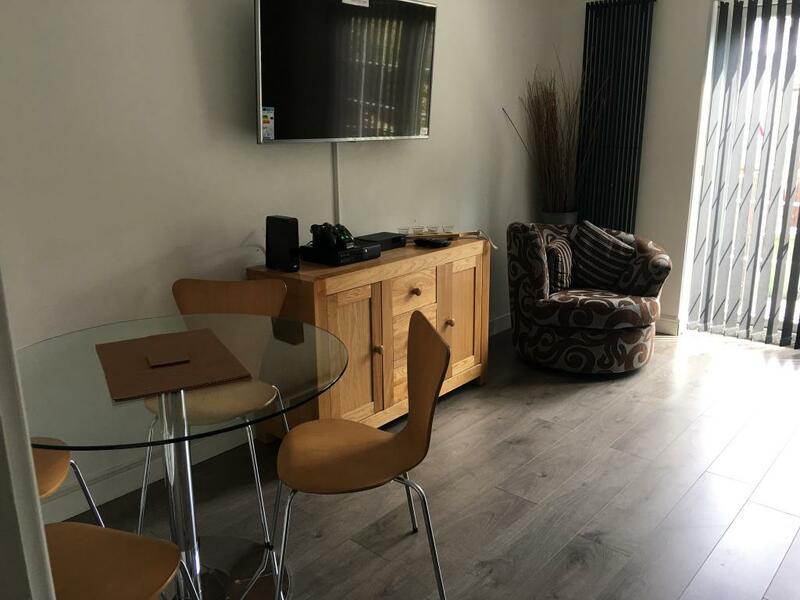 River Terrace also comes with the added benefits of Virgin Media Fibre Broadband and TV. We have a designated parking bay numbered 38 for larger vehicles. 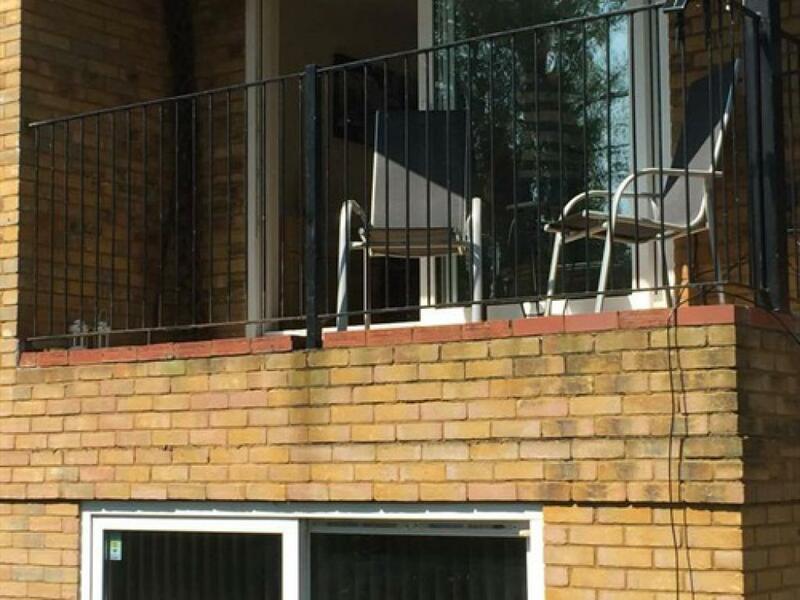 Parking on the drive by arrangement. 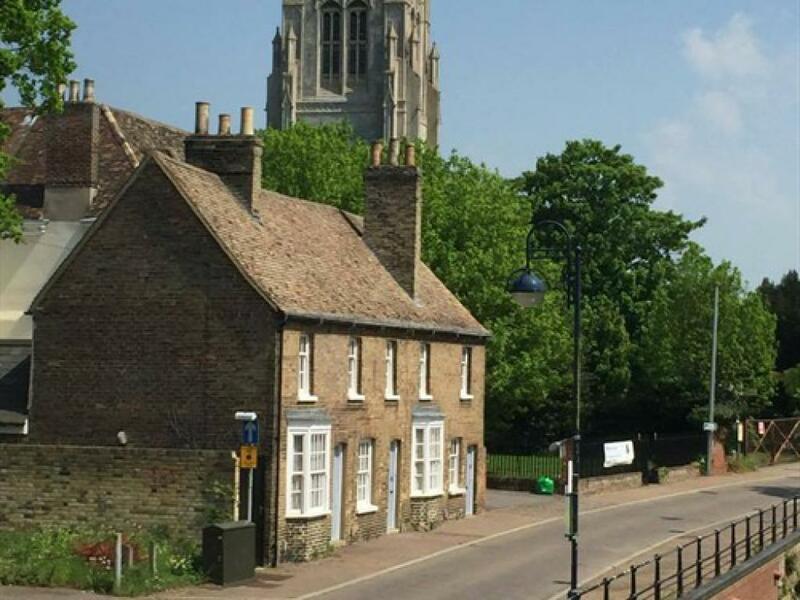 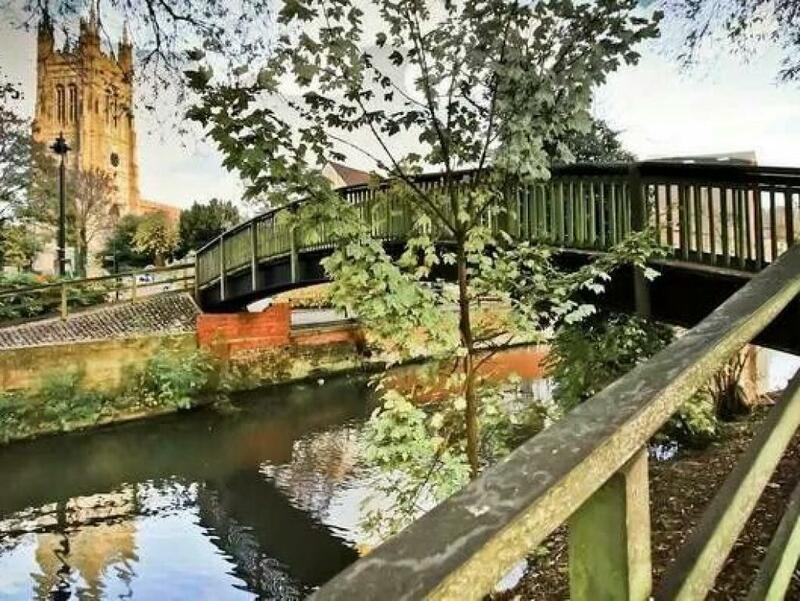 River View House is located in the heart of St Neots over looking Hen brook with fantastic views of St Mary's church and St Marys Street. This two bedroom house is moments from the centre of St Neots and our other properties Marina Heights and River Terrace. 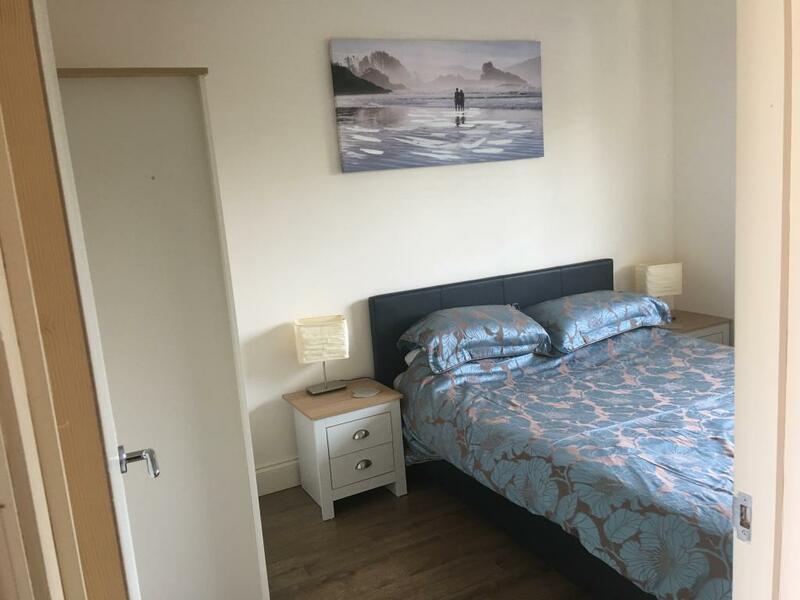 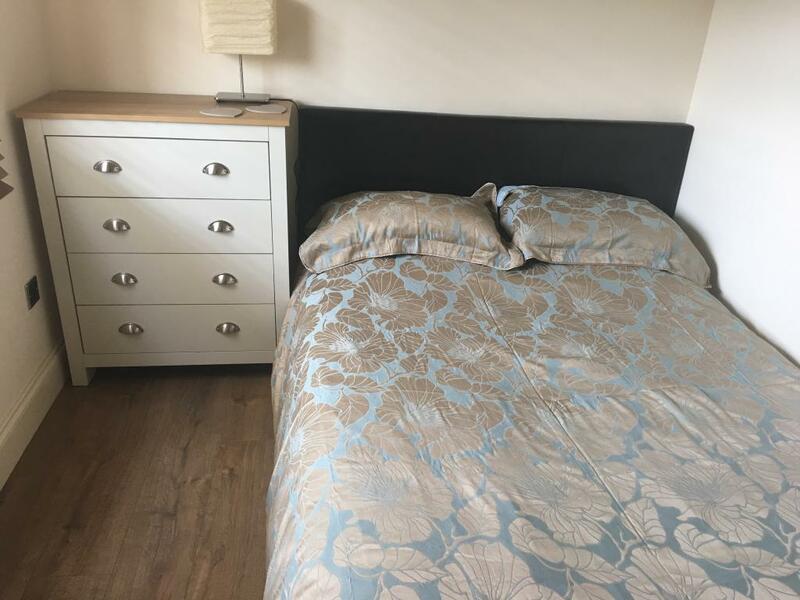 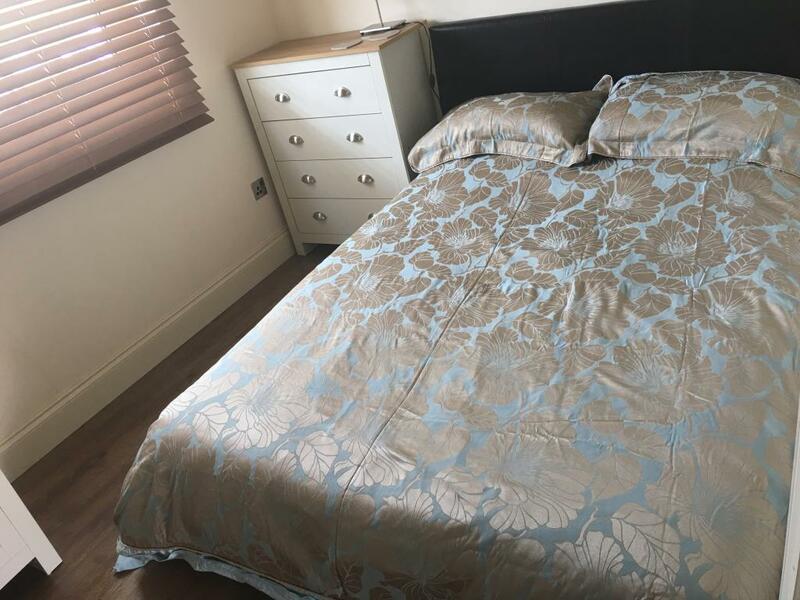 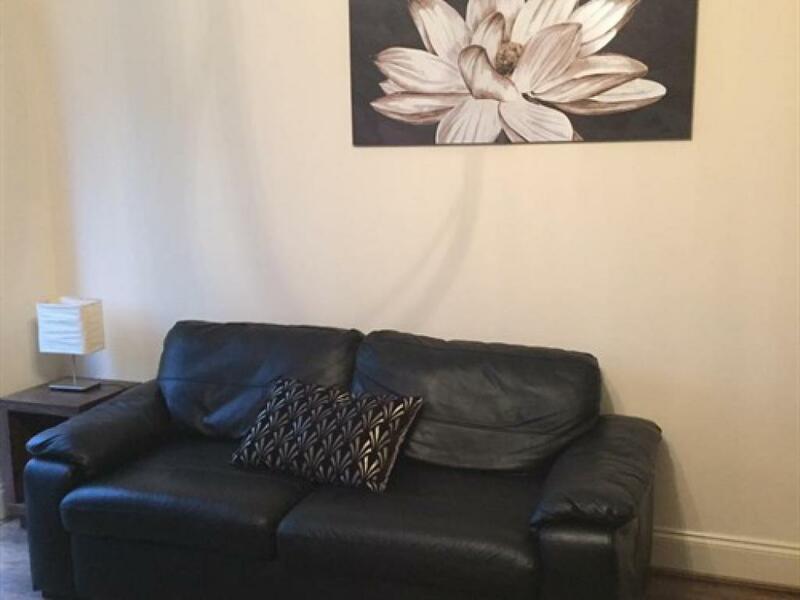 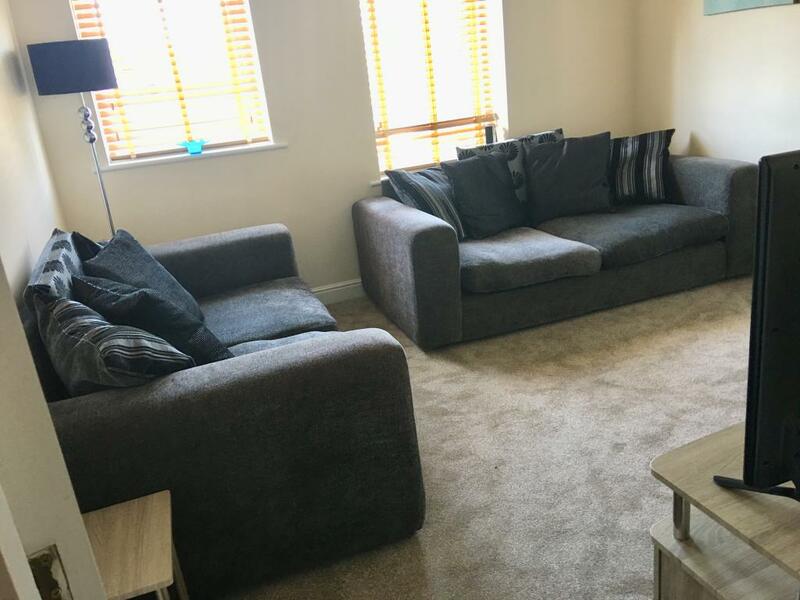 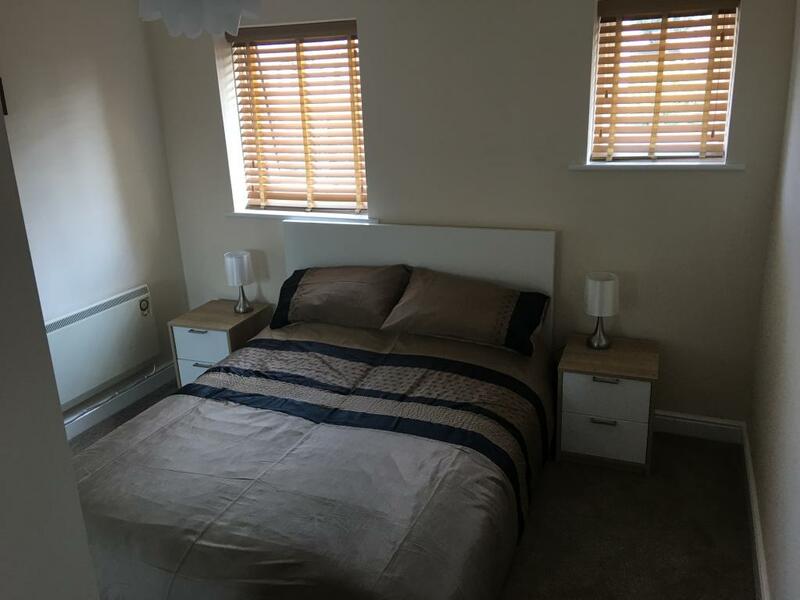 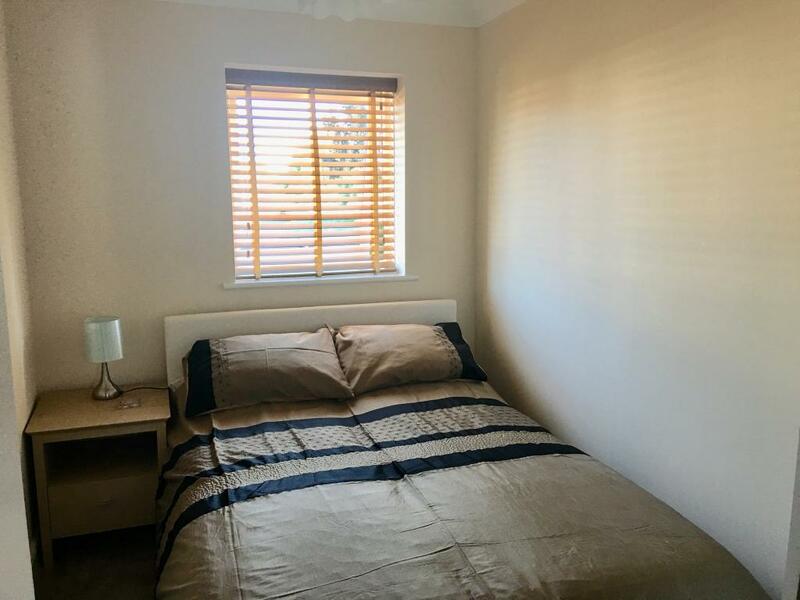 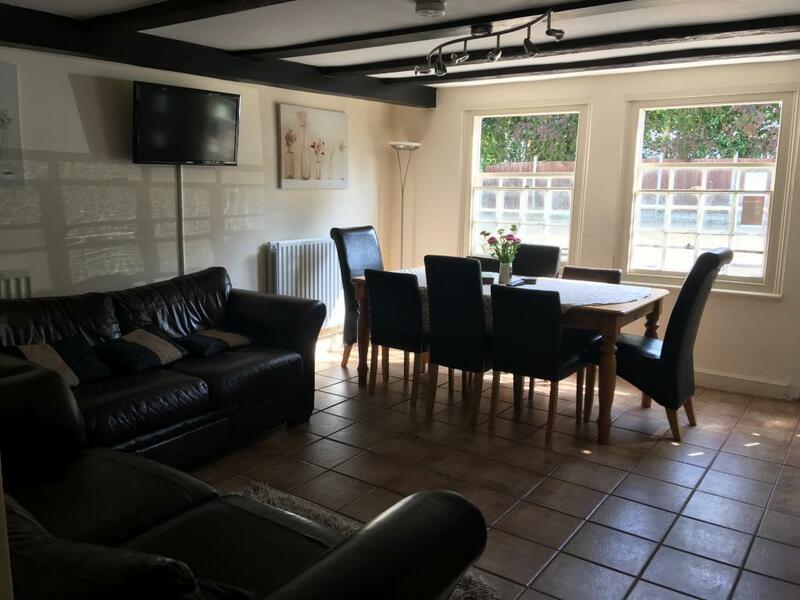 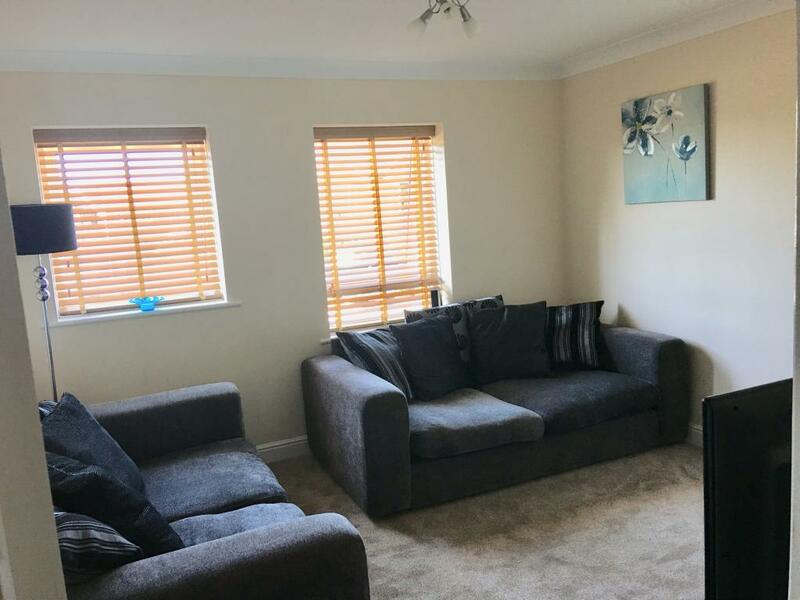 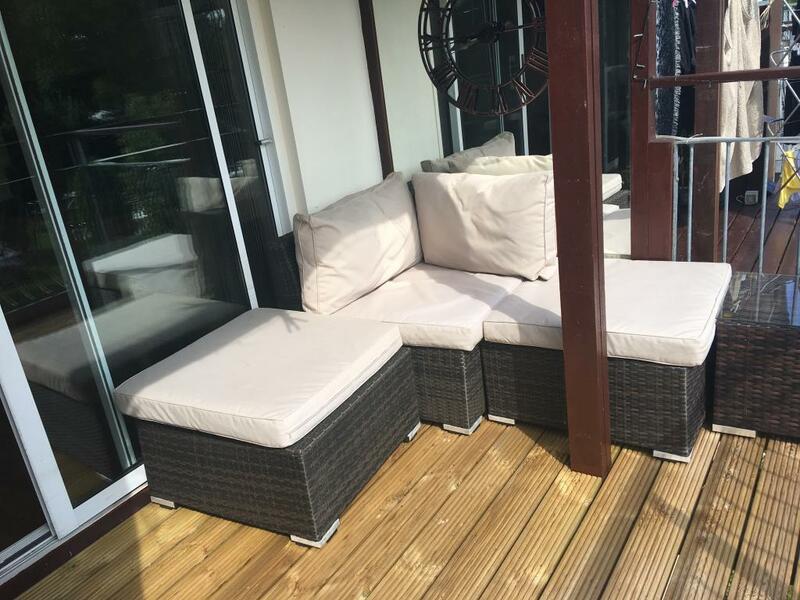 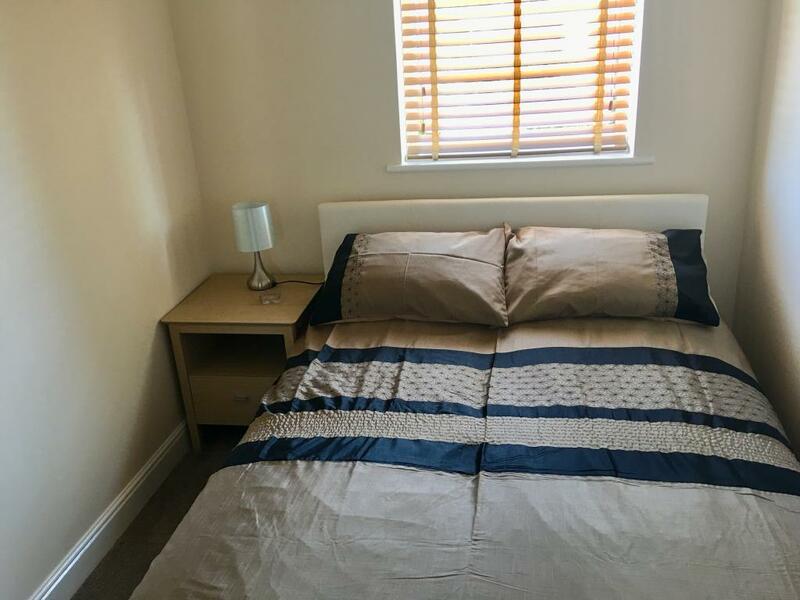 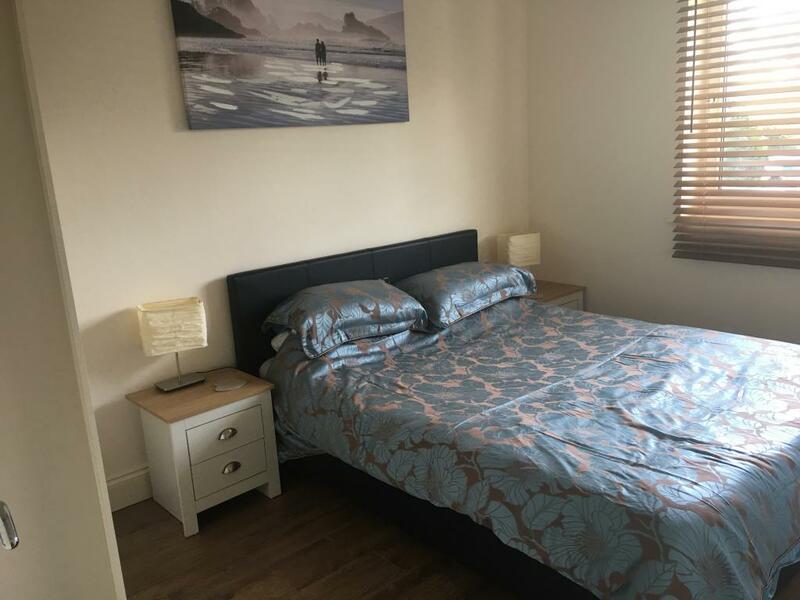 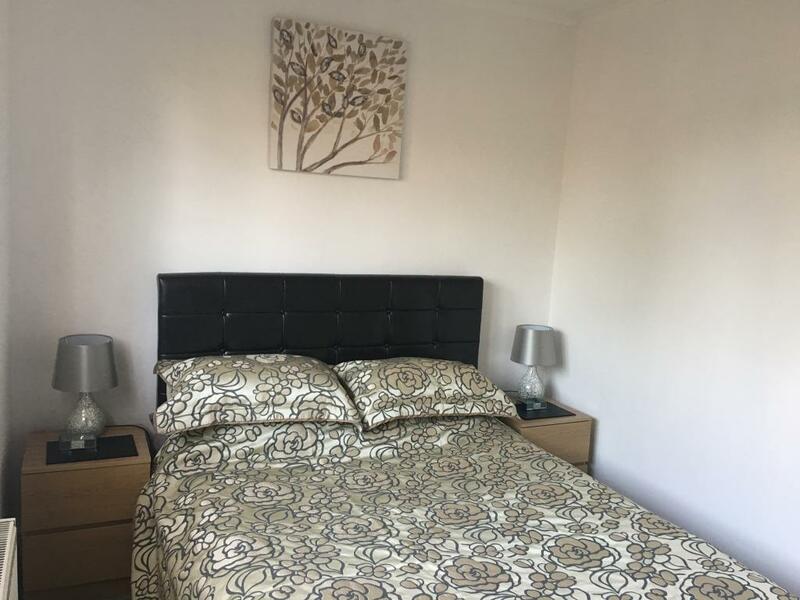 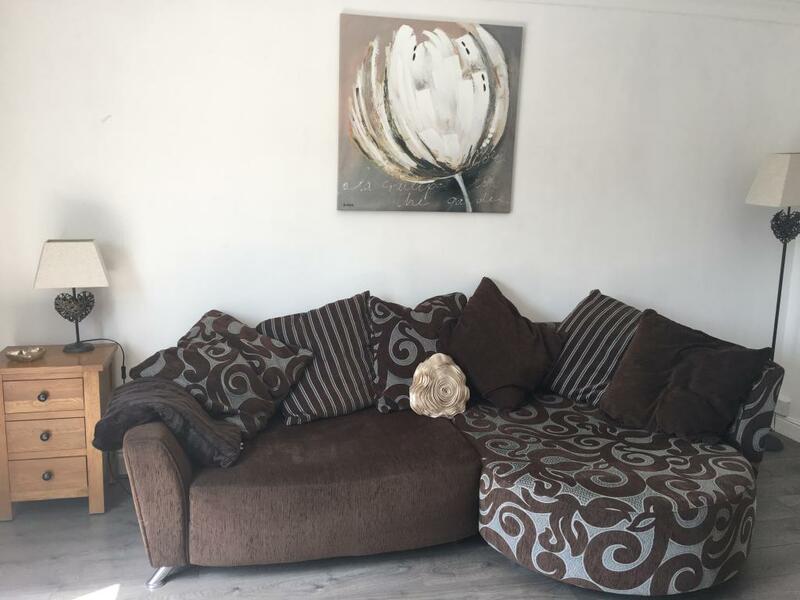 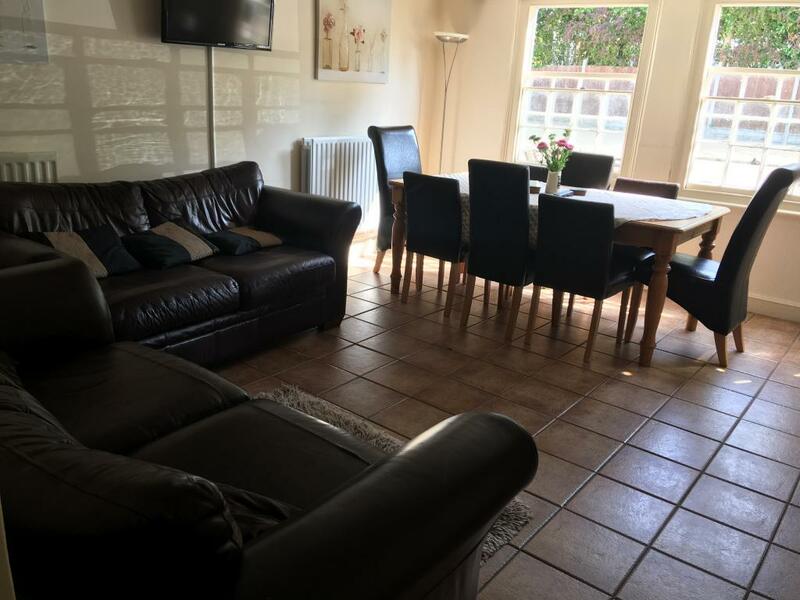 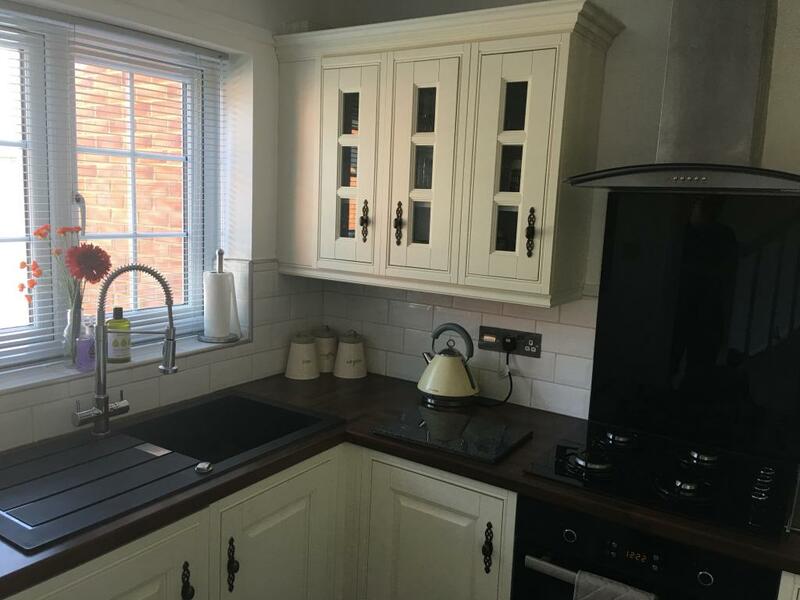 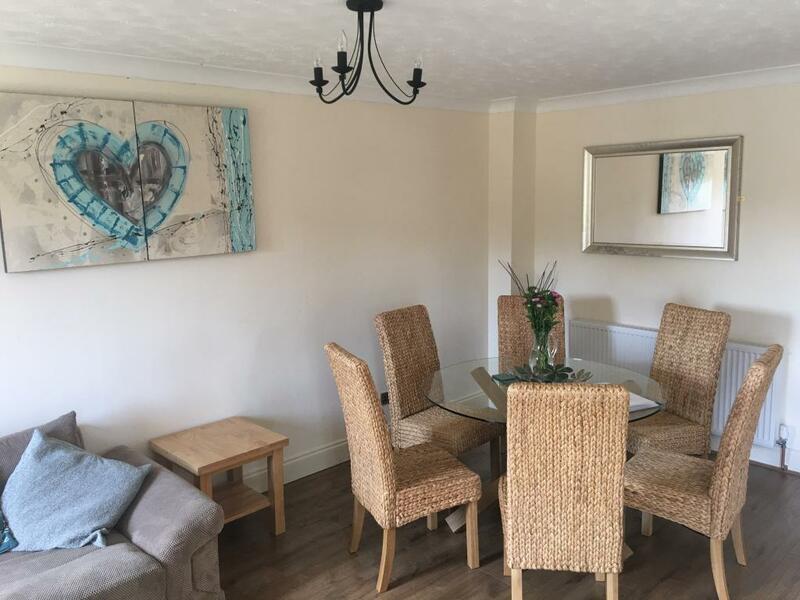 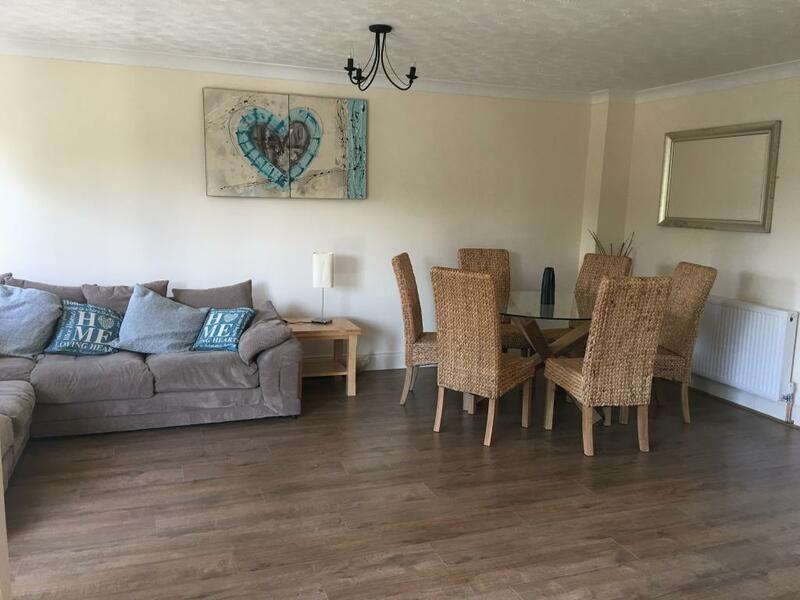 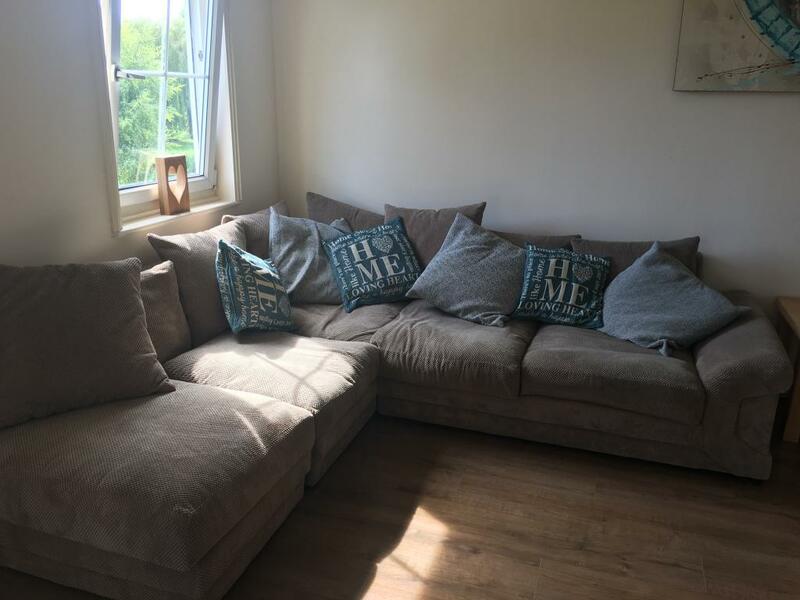 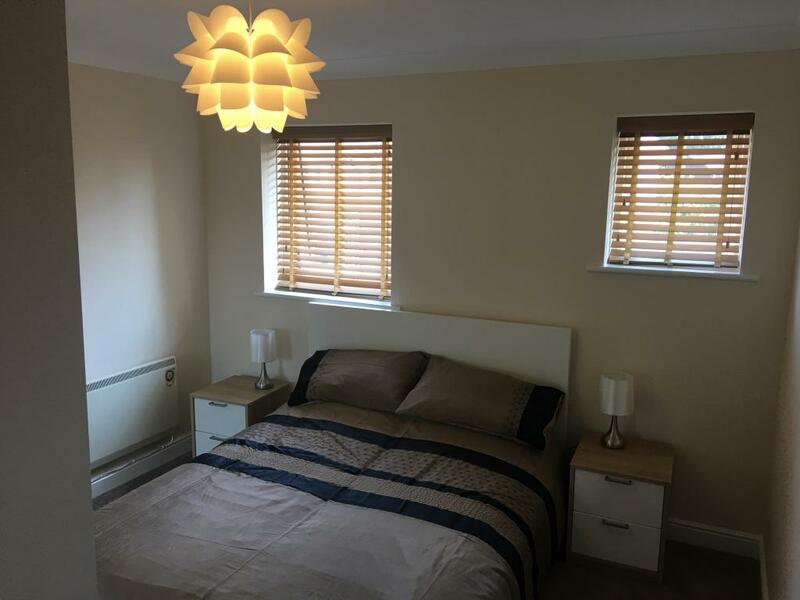 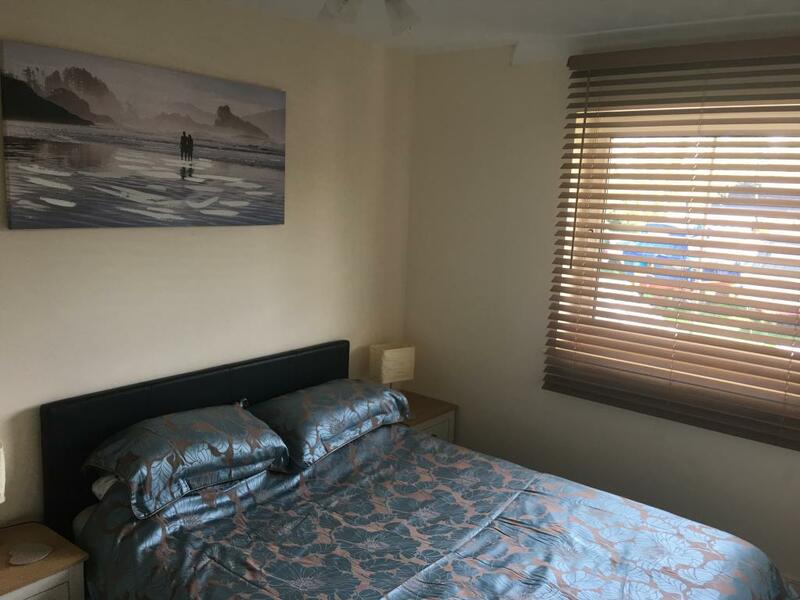 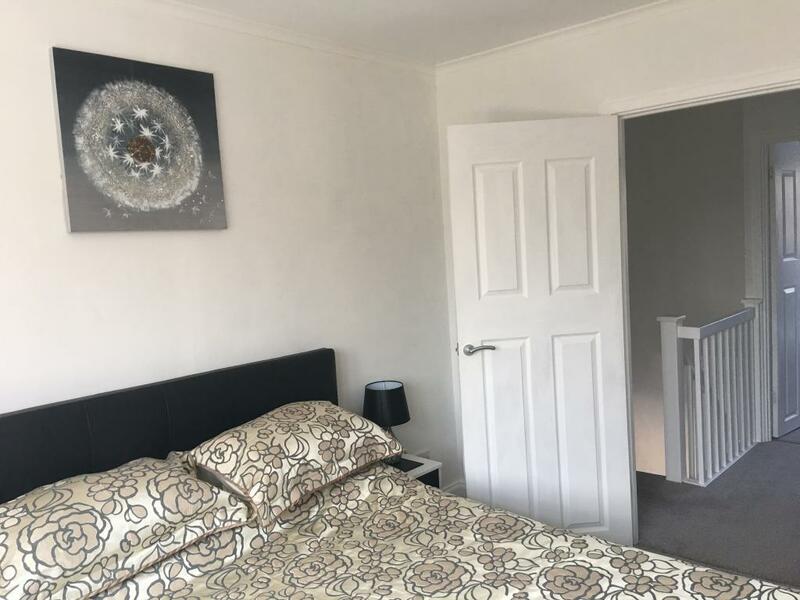 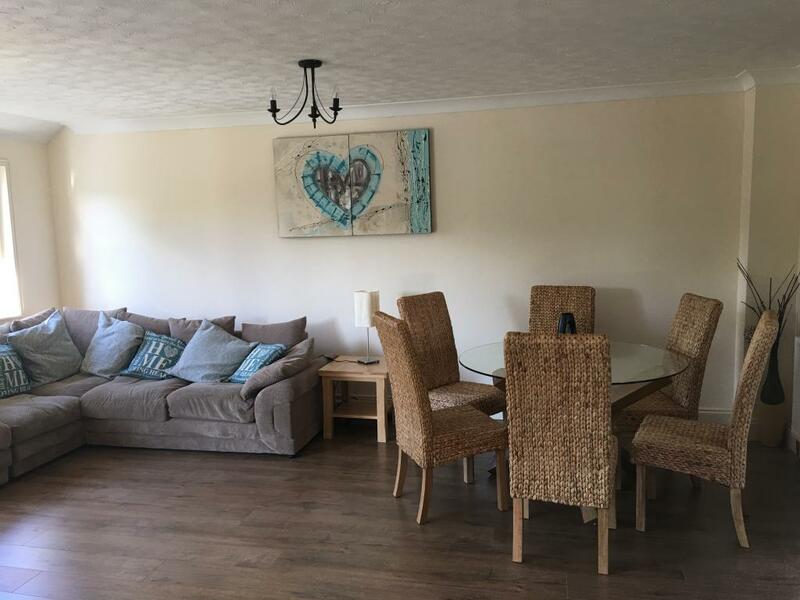 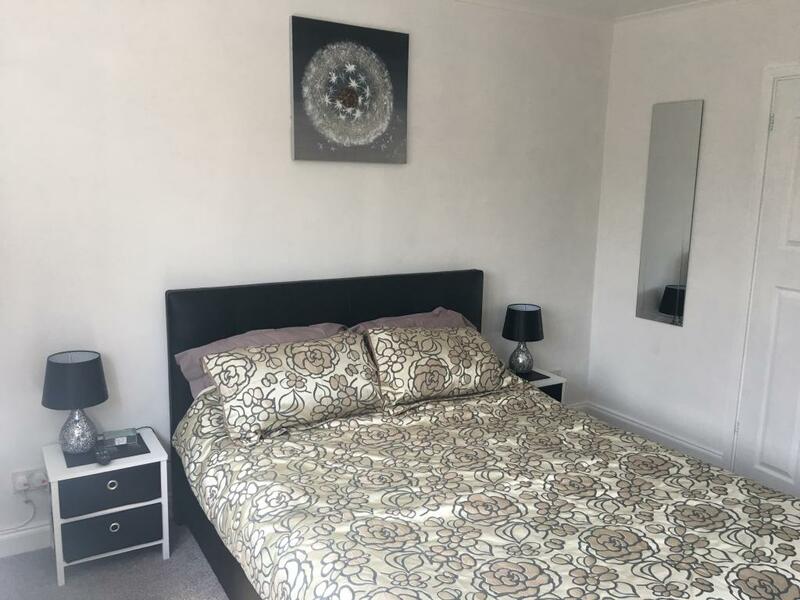 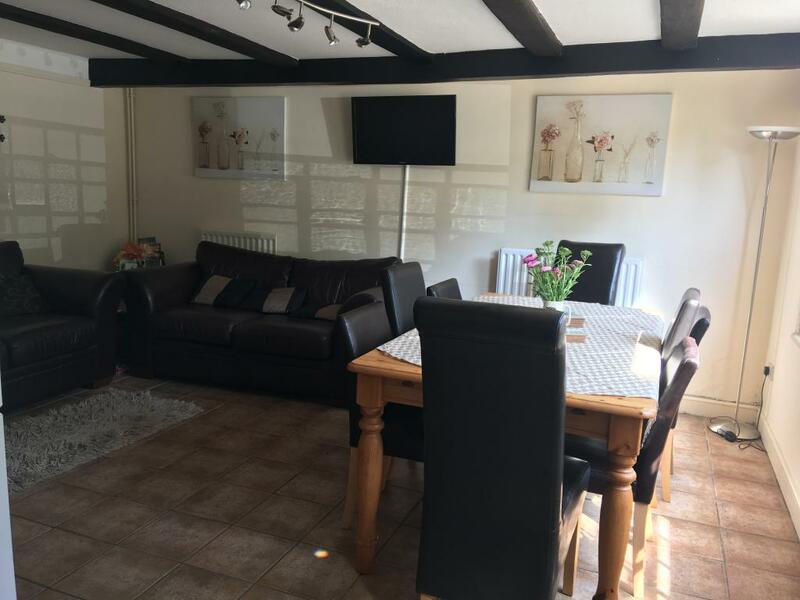 Sleeping up to four people in a king and double bedded rooms this house is ideal for exploring St Neots, Old Eynesbury and the River Great Ouse. 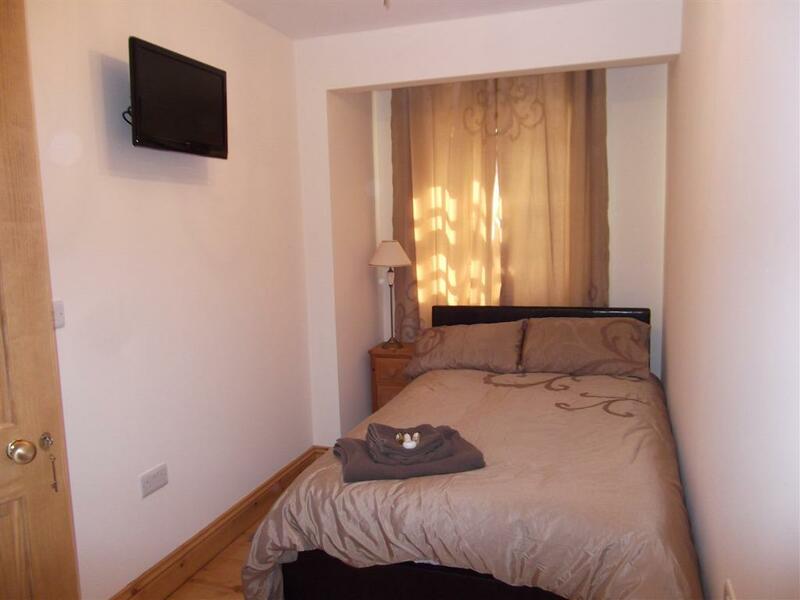 Fresh, modern styled property with enclosed garden and parking. 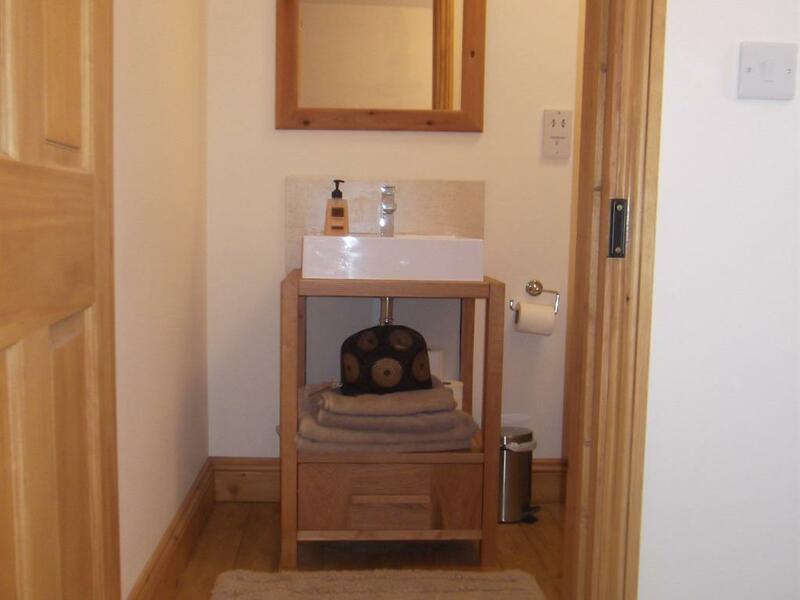 River View House has a modern integrated kitchen ideal for short stays or long business trips. 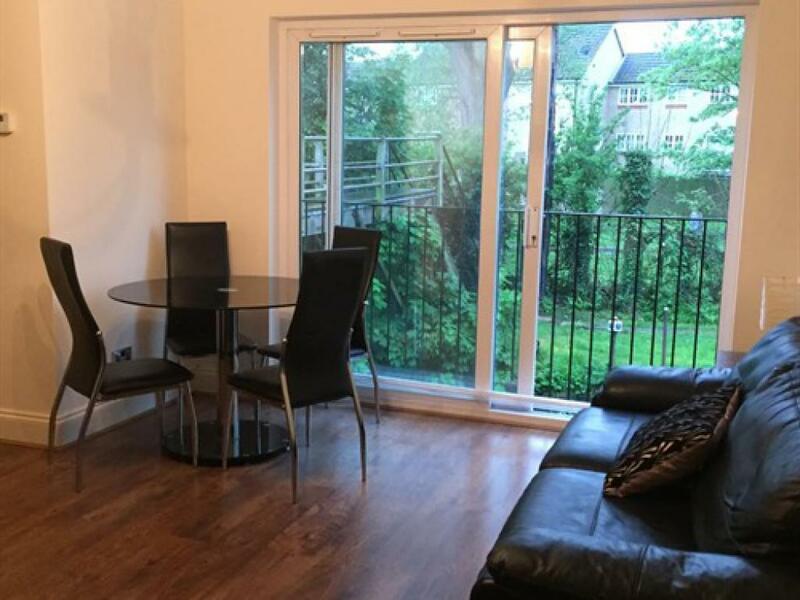 With a modern, slick and stylish lounge and dining area leading out through french doors to the garden. 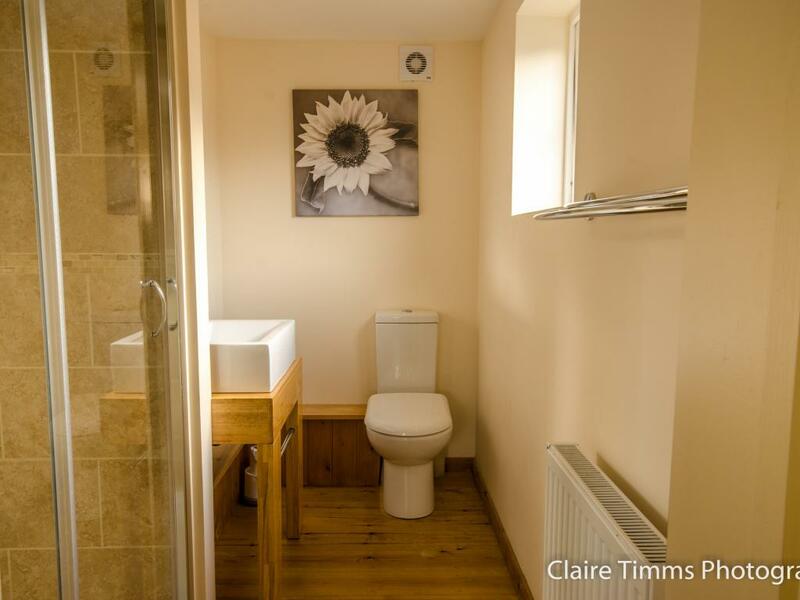 With a downstairs toilet and under stairs storage. 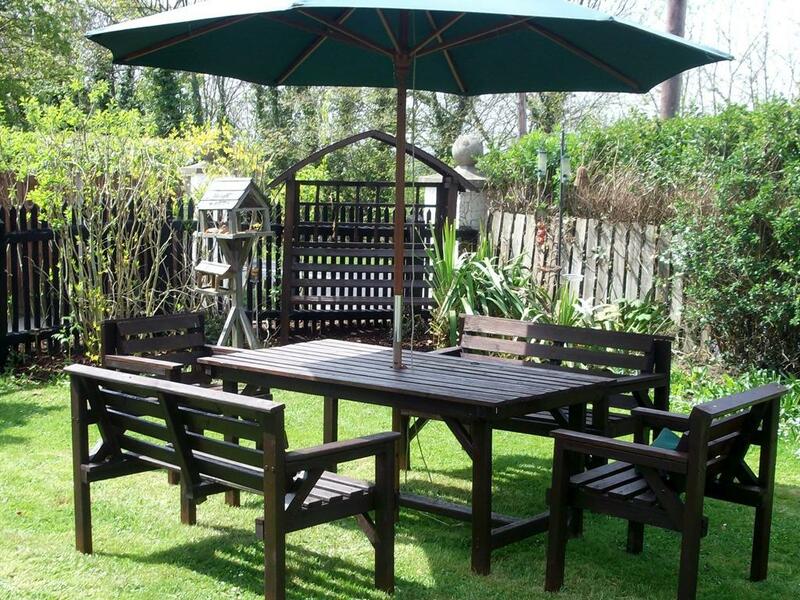 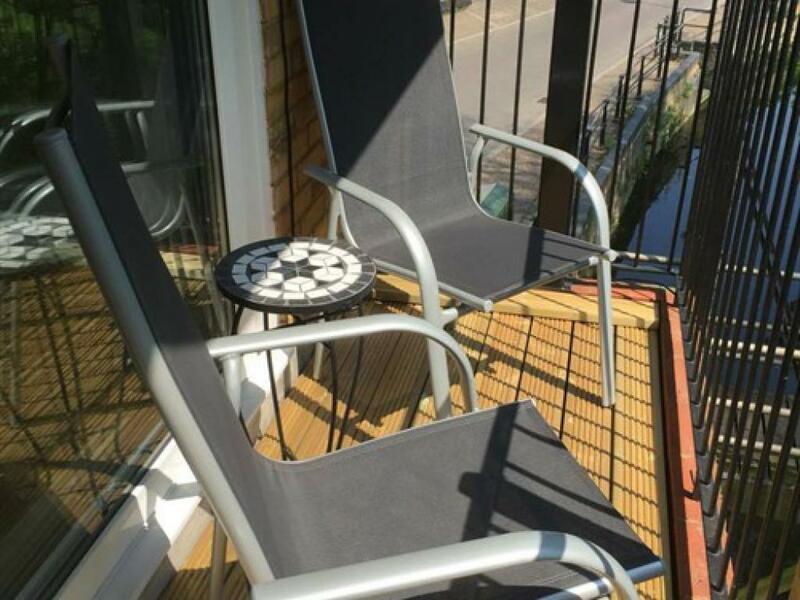 Outside there is garden furniture to relax and unwind. 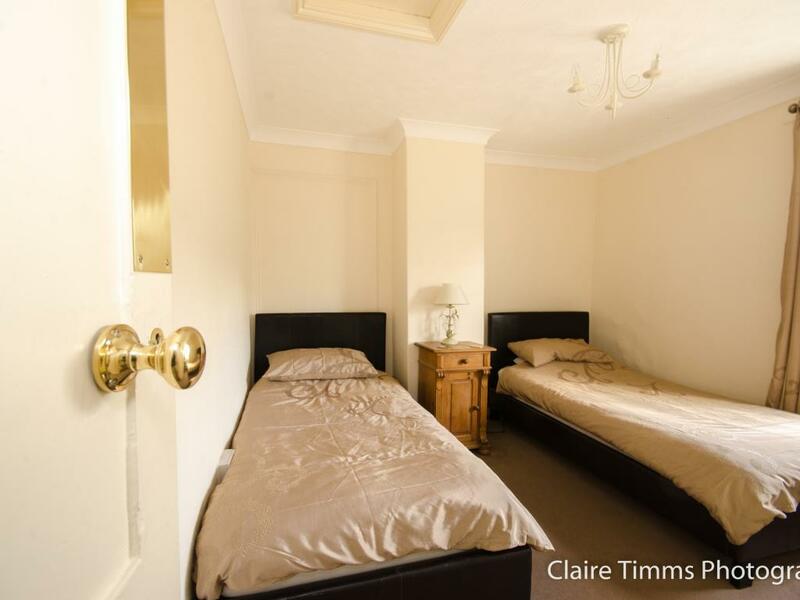 Upstairs there is a king and double bedded rooms with built in wardrobes. 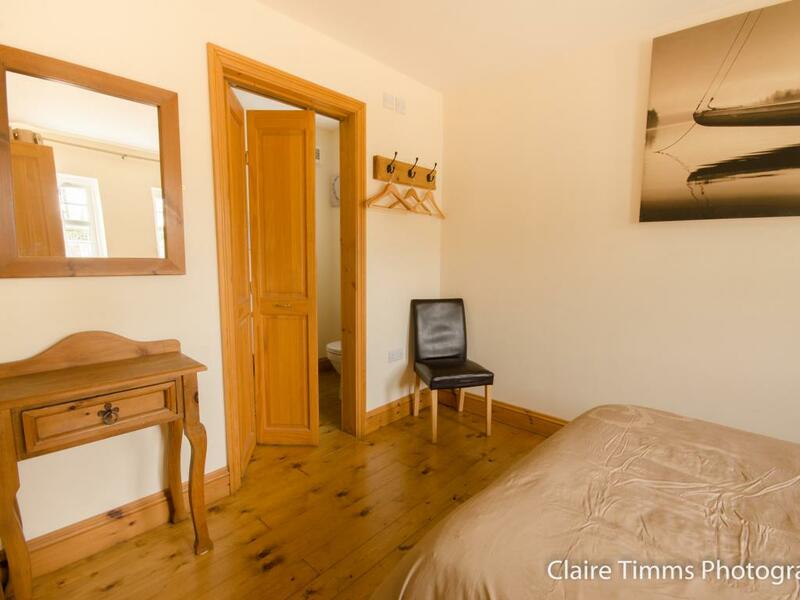 The main bedroom has a smart TV with a dressing table and chairs. 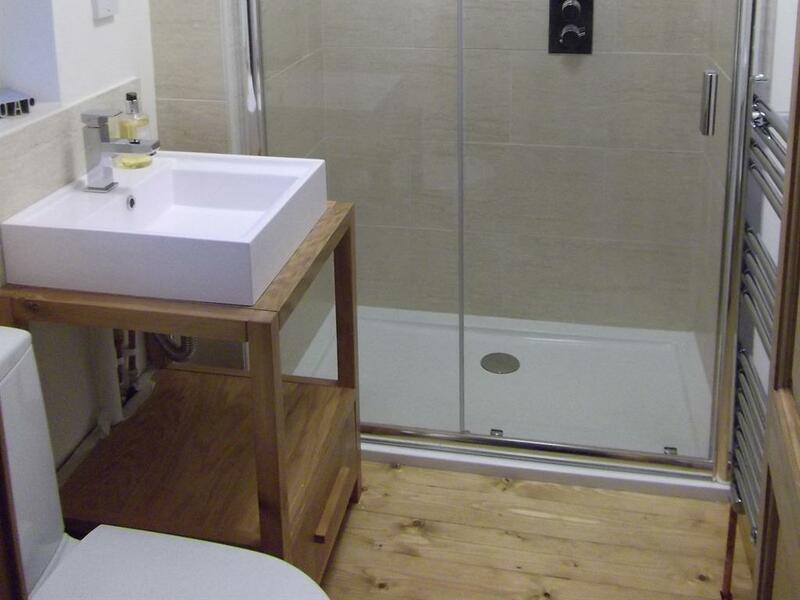 The bathroom has a bath with rainfall shower. 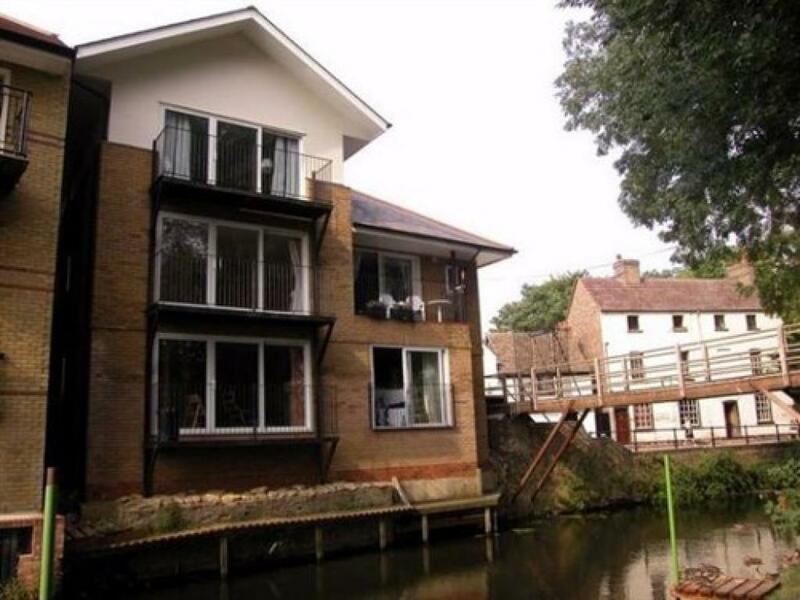 Fantastic two bedrooms, two bathroom Penthouse Apartment overlooking Little Paxton locks and the River Ouse. 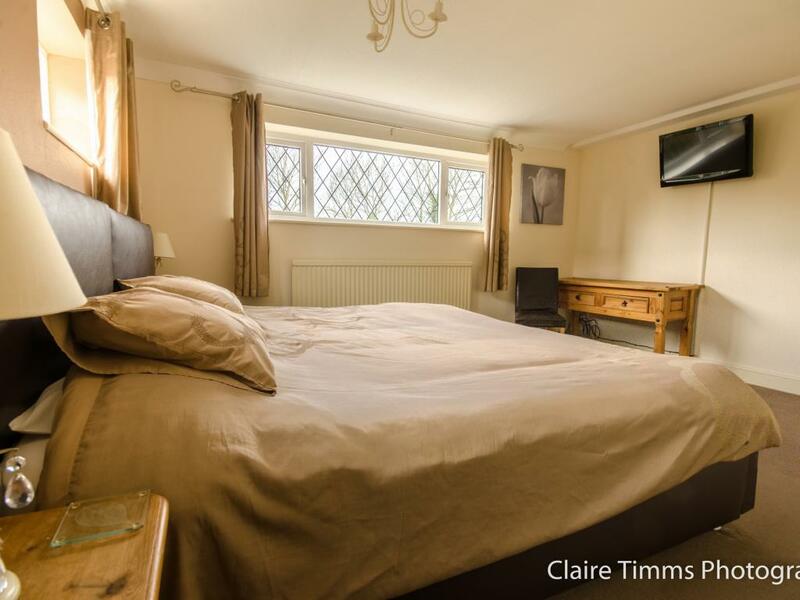 Wonderful views from the lounge and main bedroom. 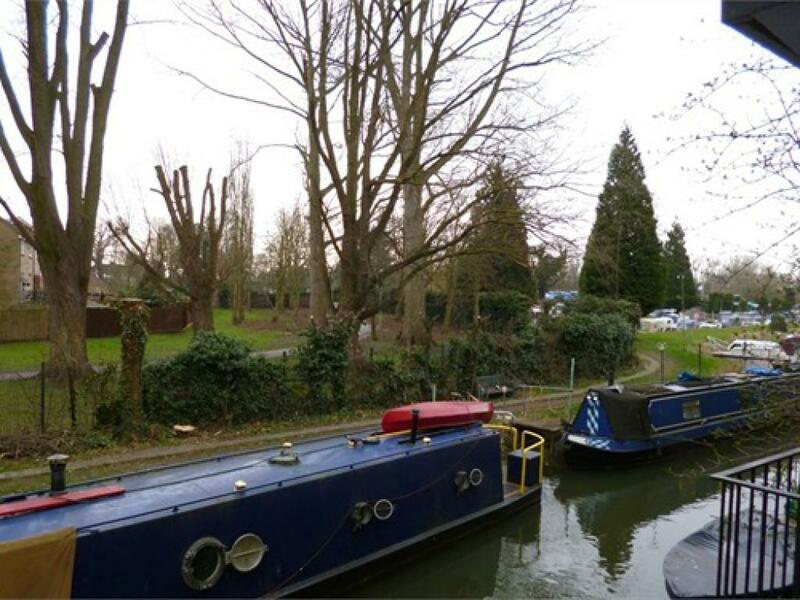 Underground allocated parking for one vehicle and visitors parking. 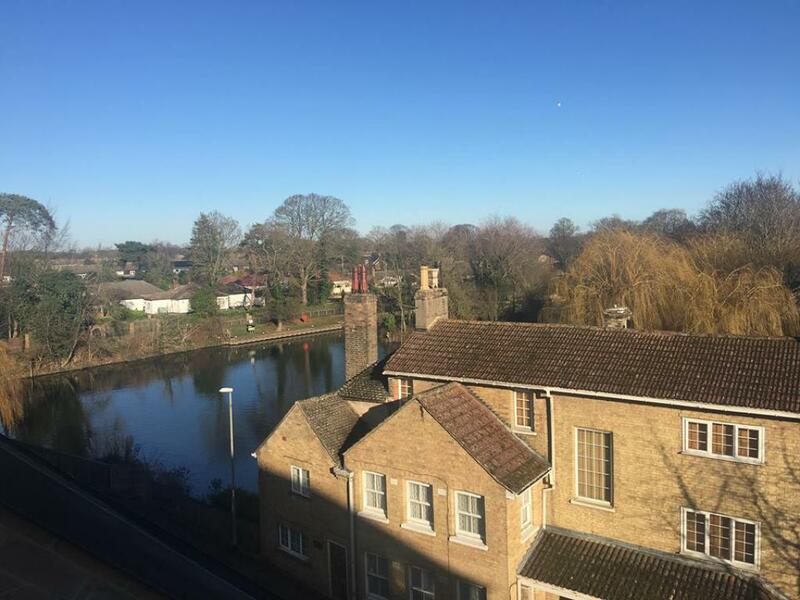 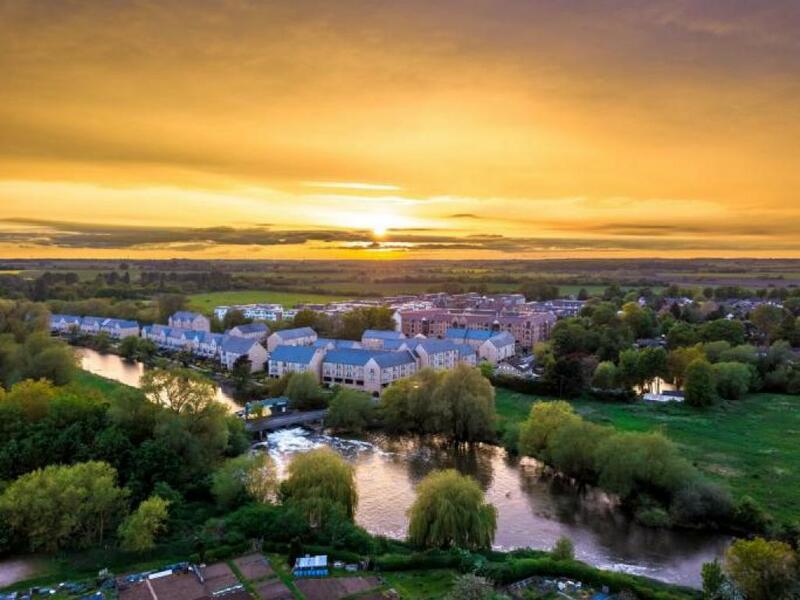 This large modern spacious two bedroom, two bathroom Penthouse Apartment overlooking Little Paxton locks and the River Ouse. 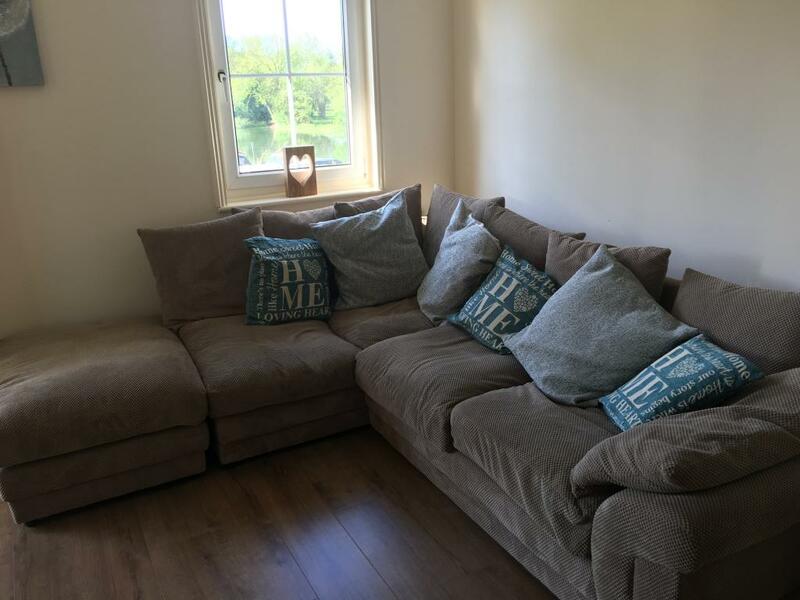 Wonderful views from the lounge and bedrooms over Little Paxton and towards Great Paxton. 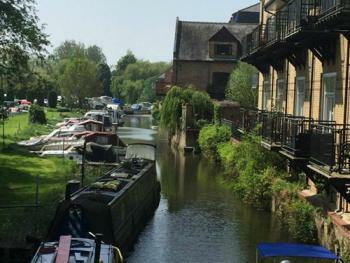 Underground allocated parking for one vehicle and visitors parking. 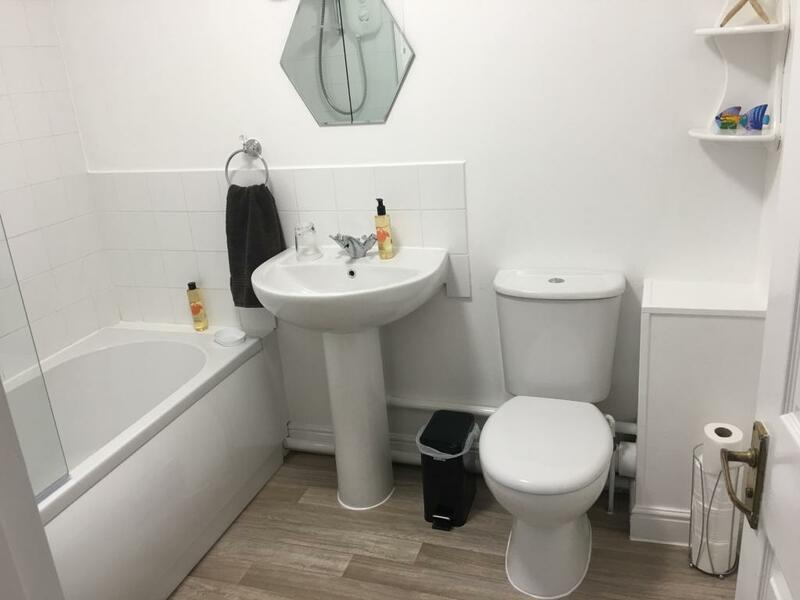 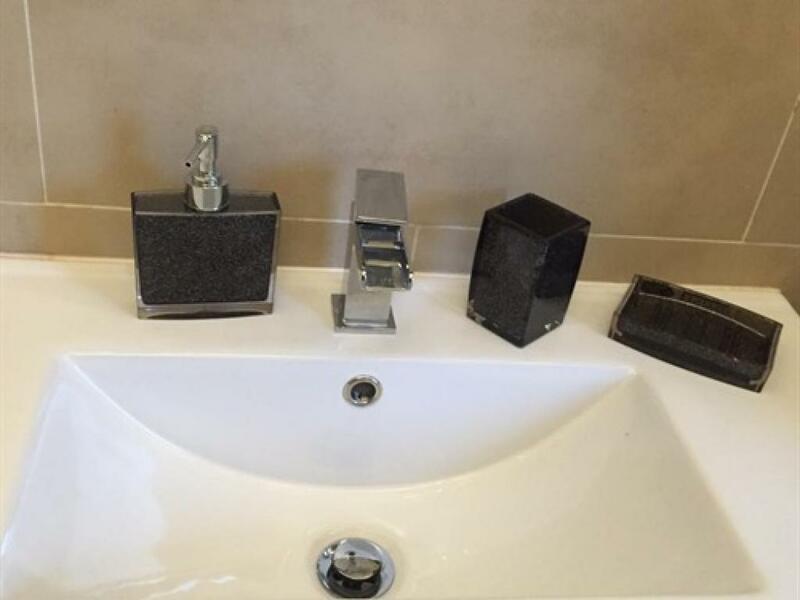 This penthouse apartment has an en-suite to the main bedroom with a separate large main bathroom with bath and shower over and double sinks. 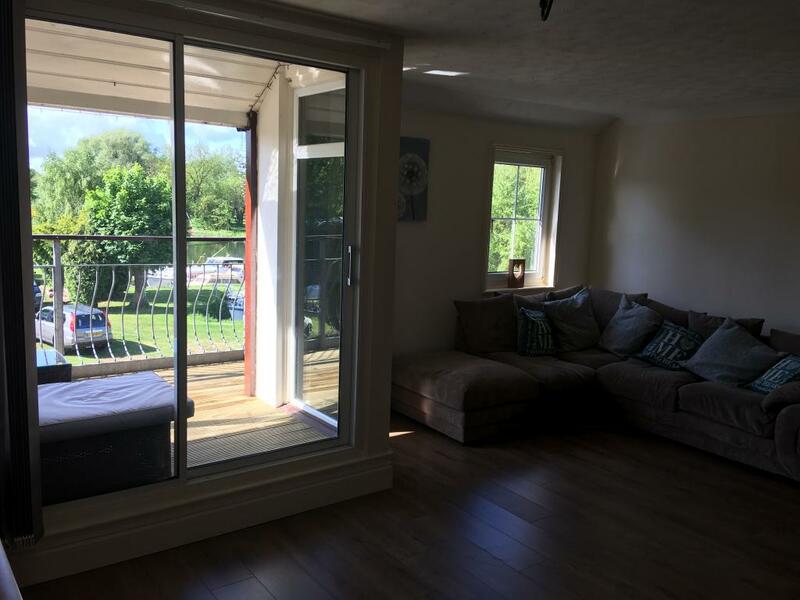 A large open plan lounge/dining area with french doors overlooking the Little Paxton meadows and River Ouse. 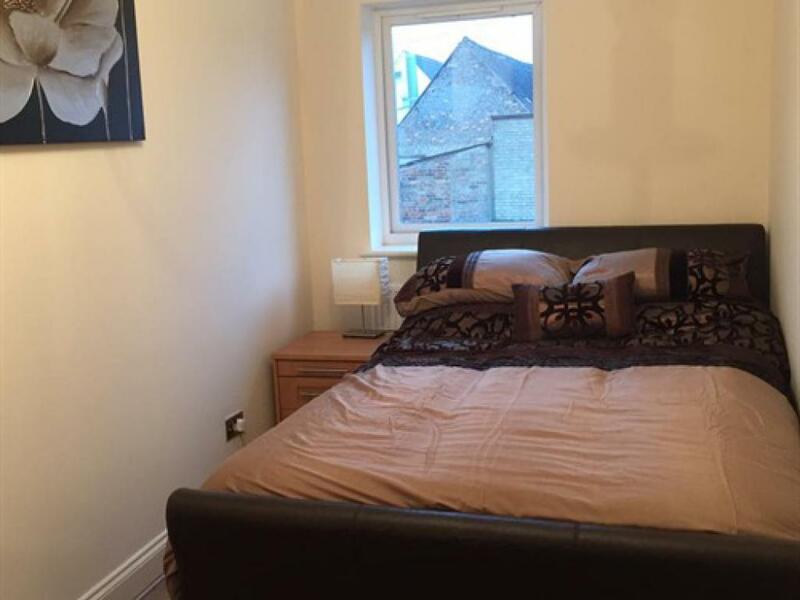 Located moments away from the A1 north or South. With easy walking into St Neots. 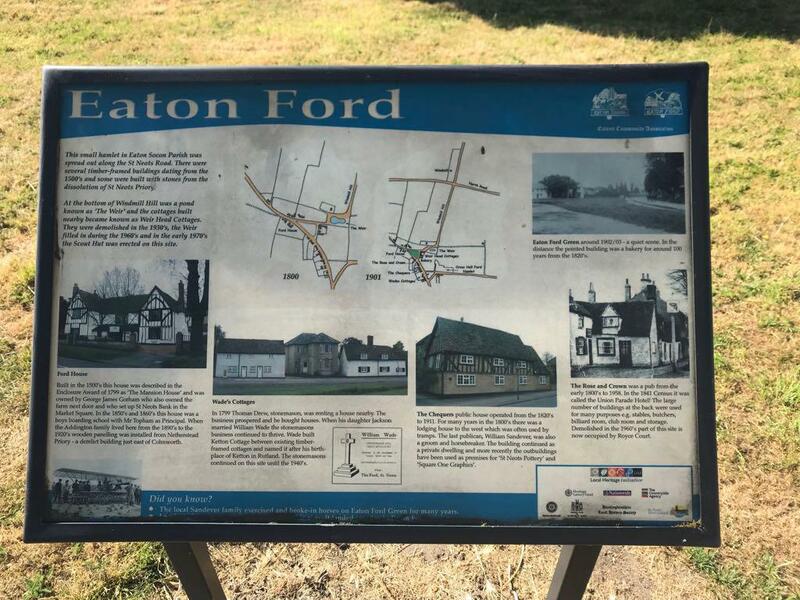 Little Paxton itself has a wonderful nature reserve, local Co-Op, Doctors, Pharmacy, Chinese restaurant and take away. 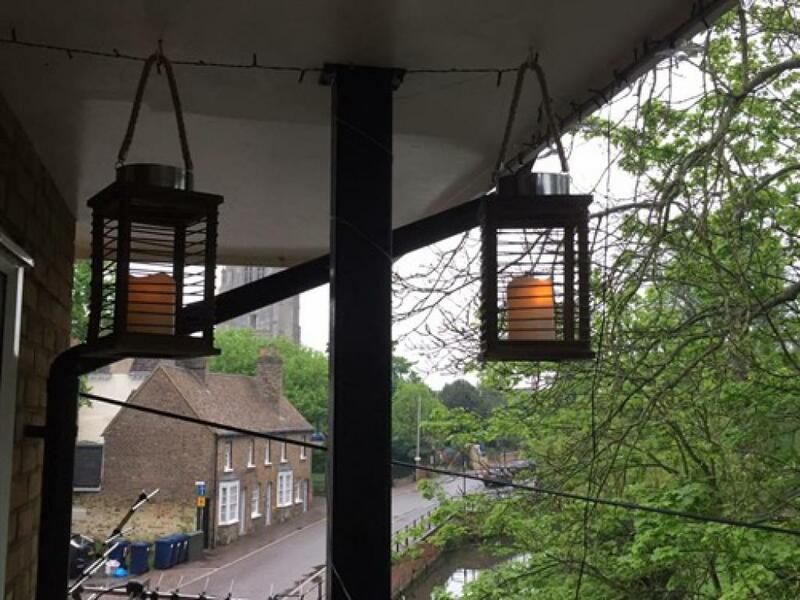 A fantastic local pub called the Anchor, and Community Hub.